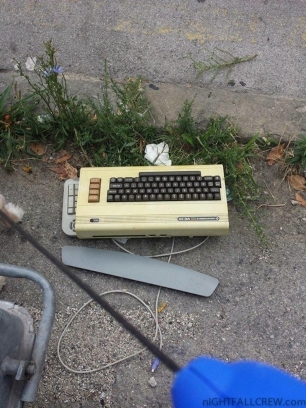 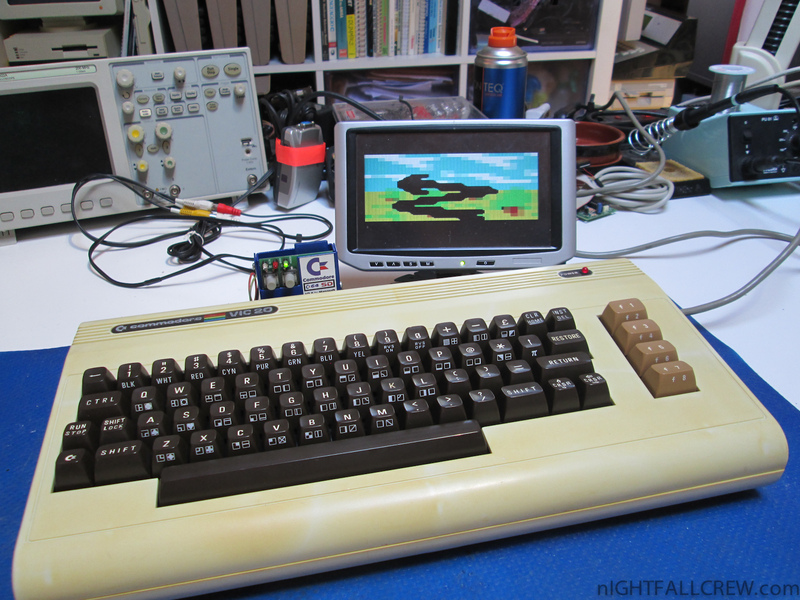 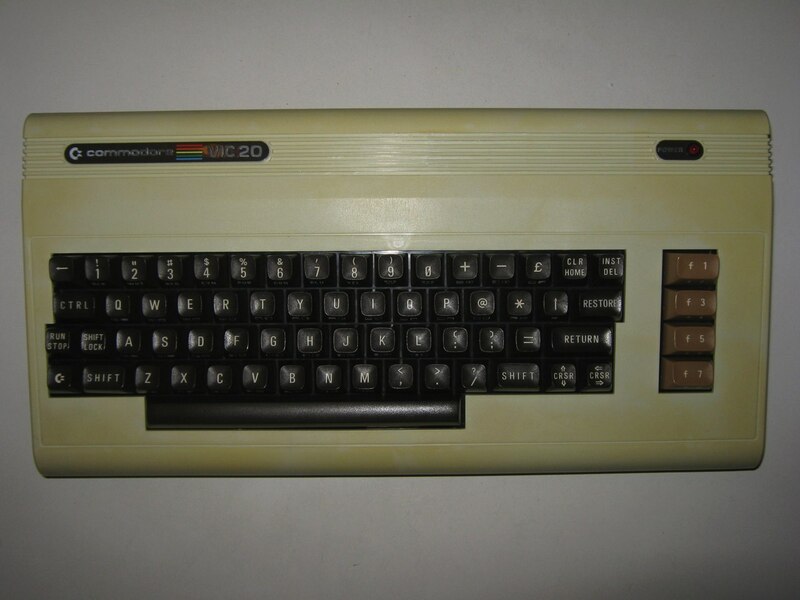 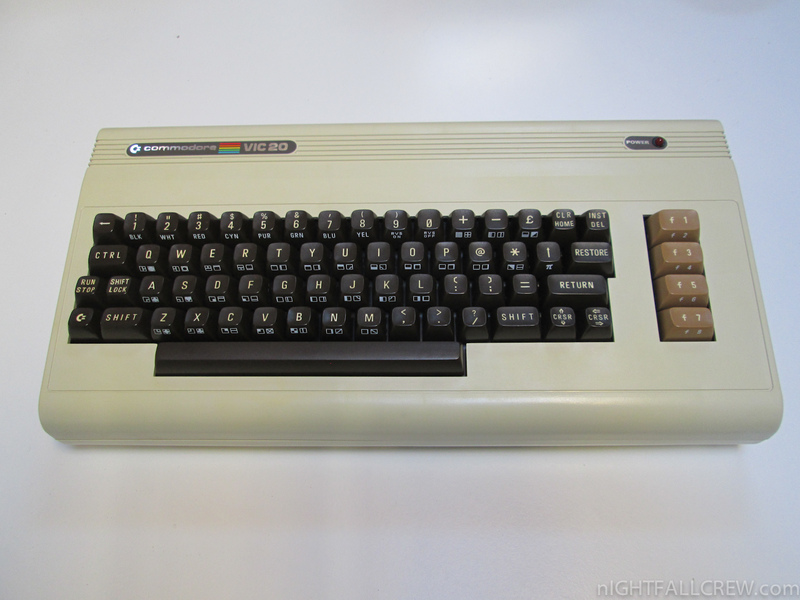 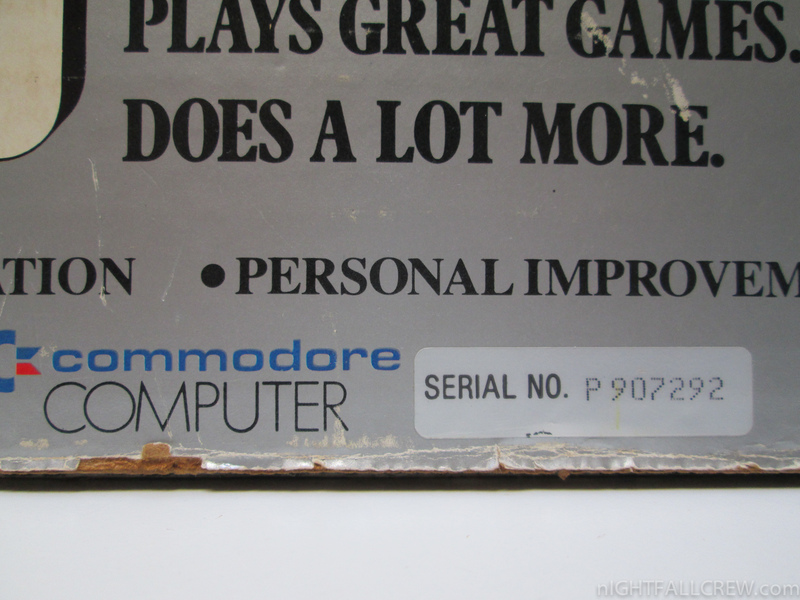 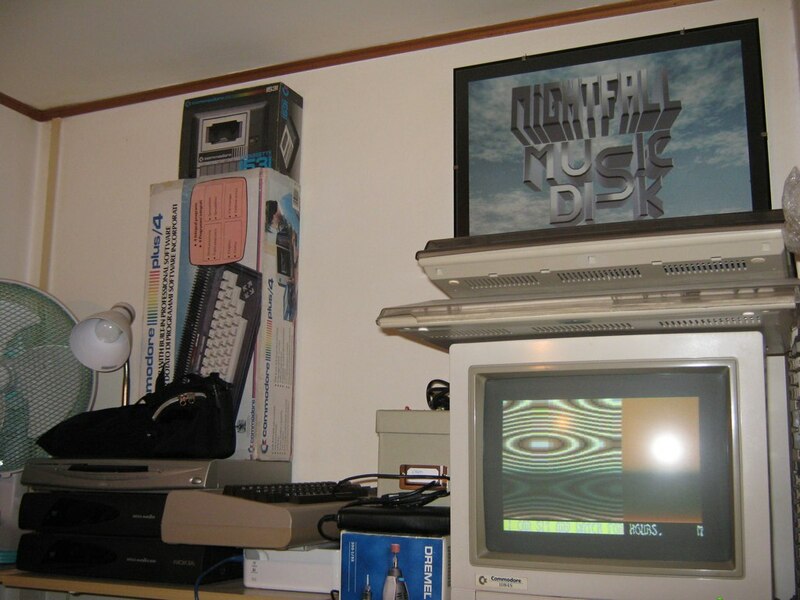 This is an old Commodore VIC-20 Home Computer (PAL) with a “Microgramma Extended Fonts” keyboard. 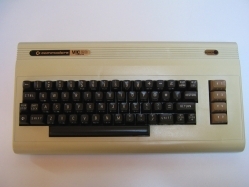 The same keyboard is also used in the Commodore PET computer. 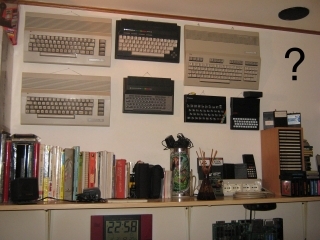 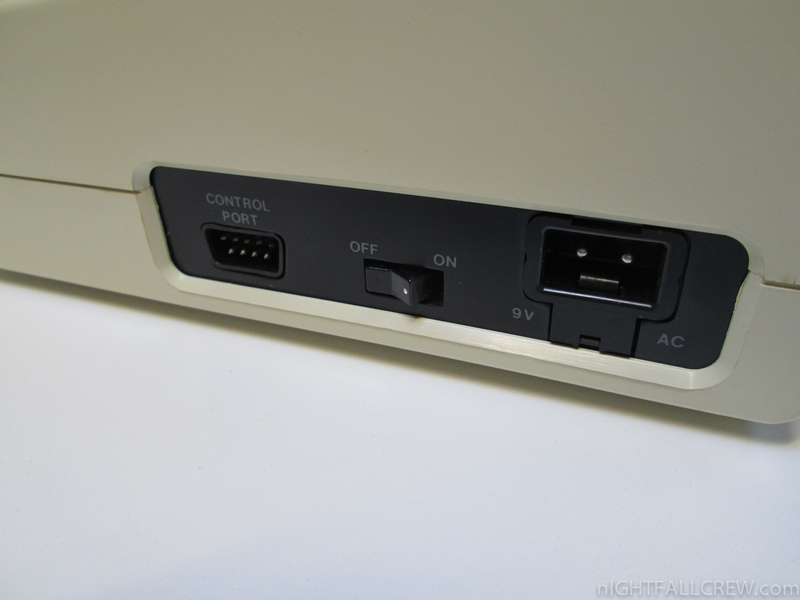 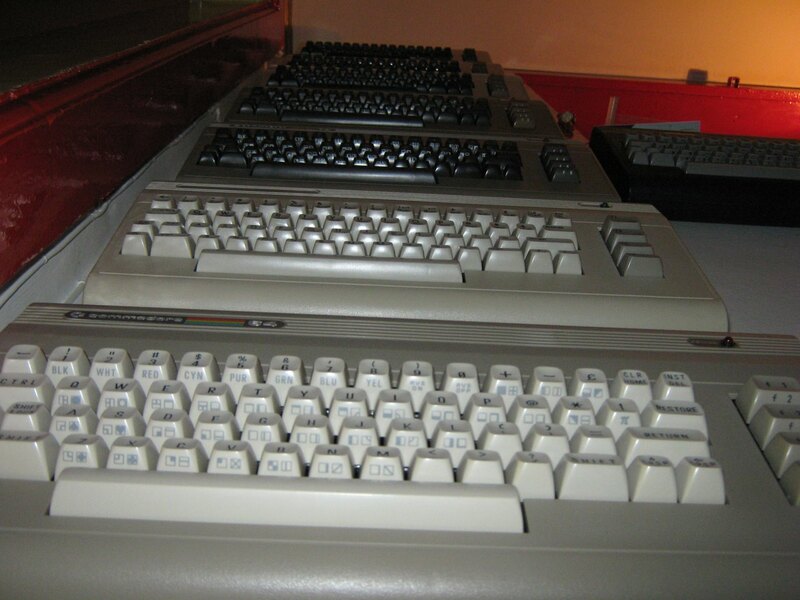 The keyboards used in VIC-20 computers were manufactured for Commodore by Matsushita Corporation of Japan. 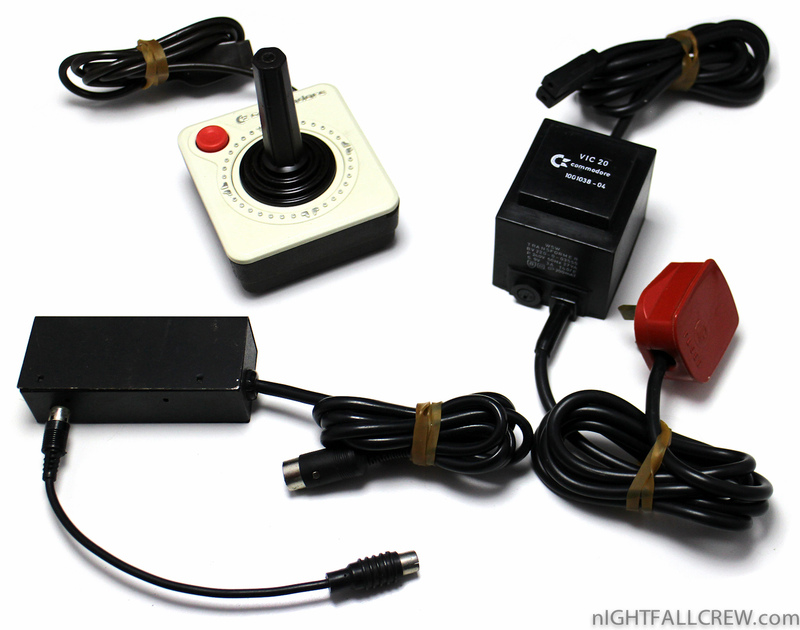 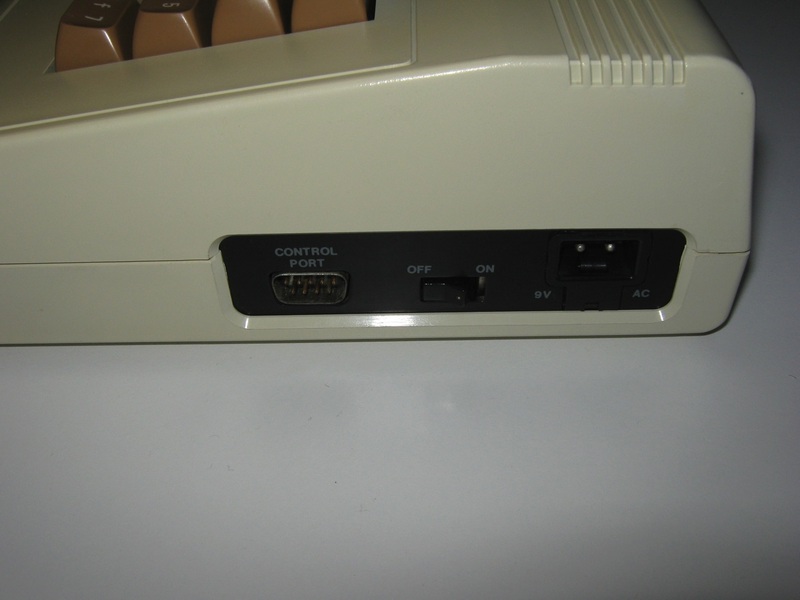 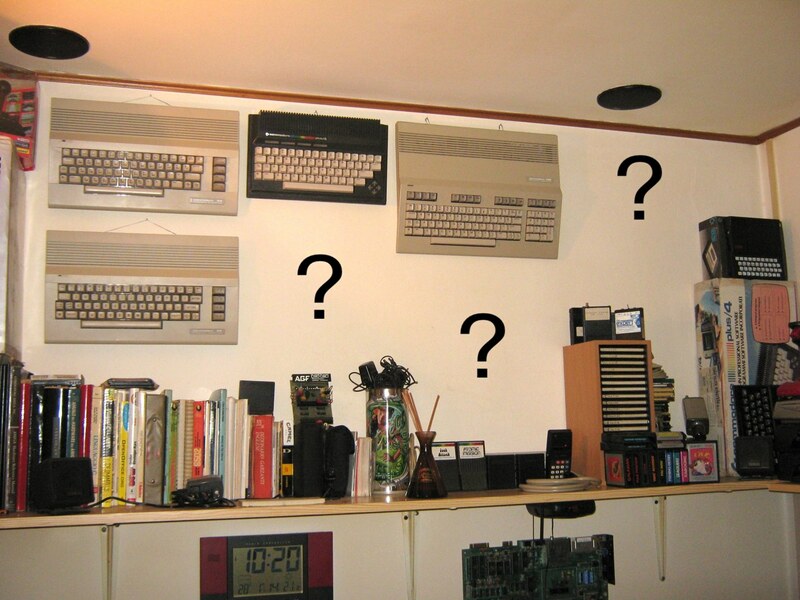 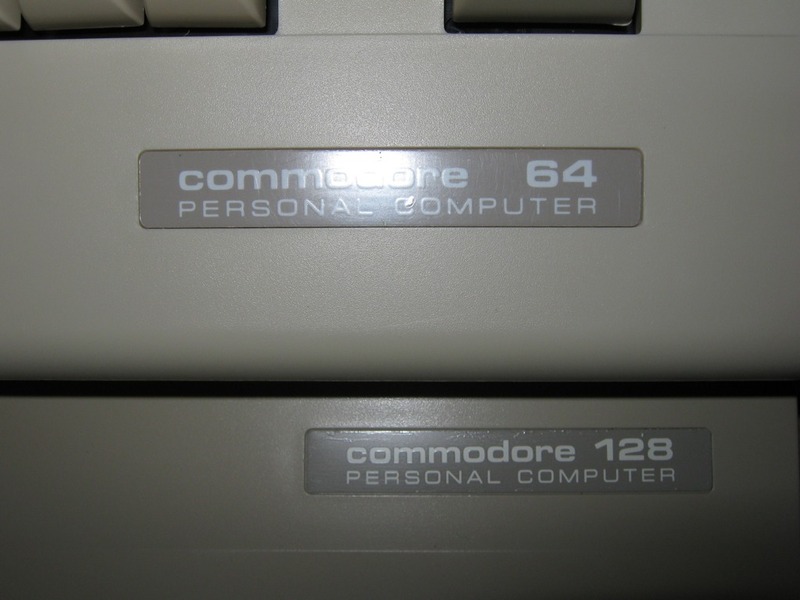 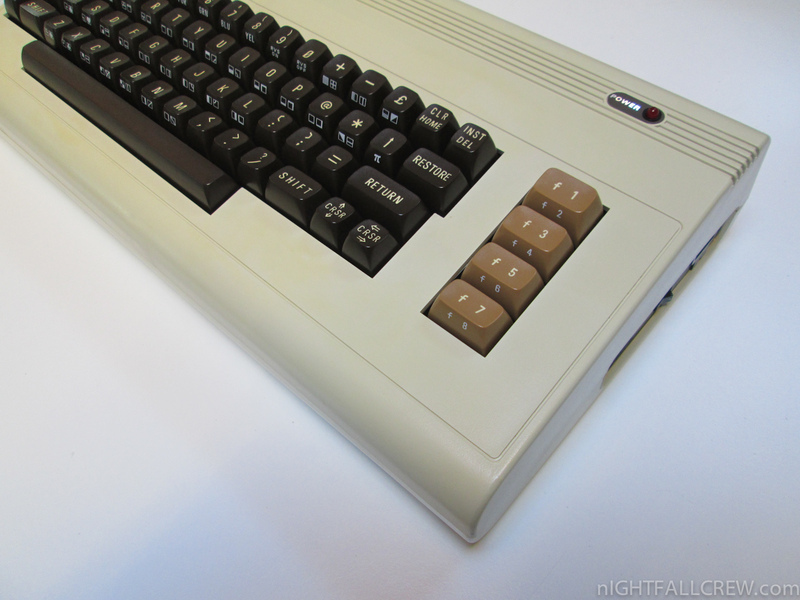 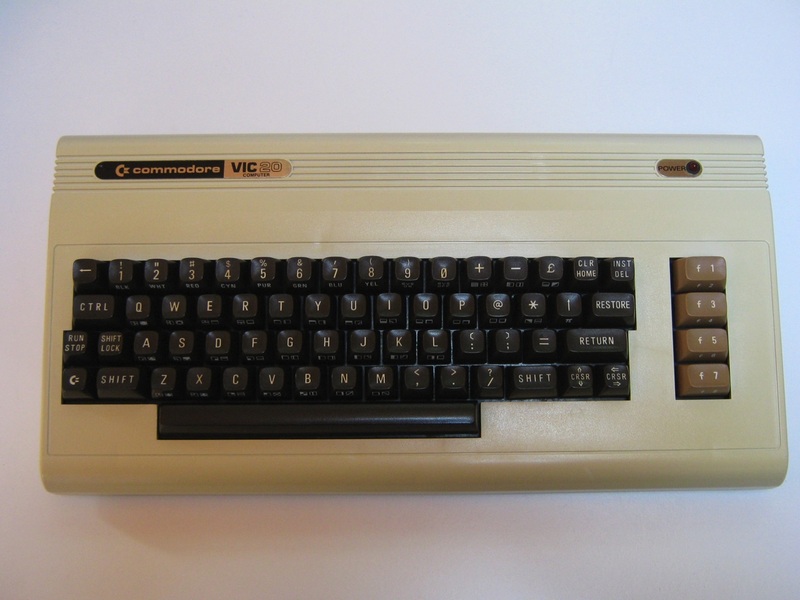 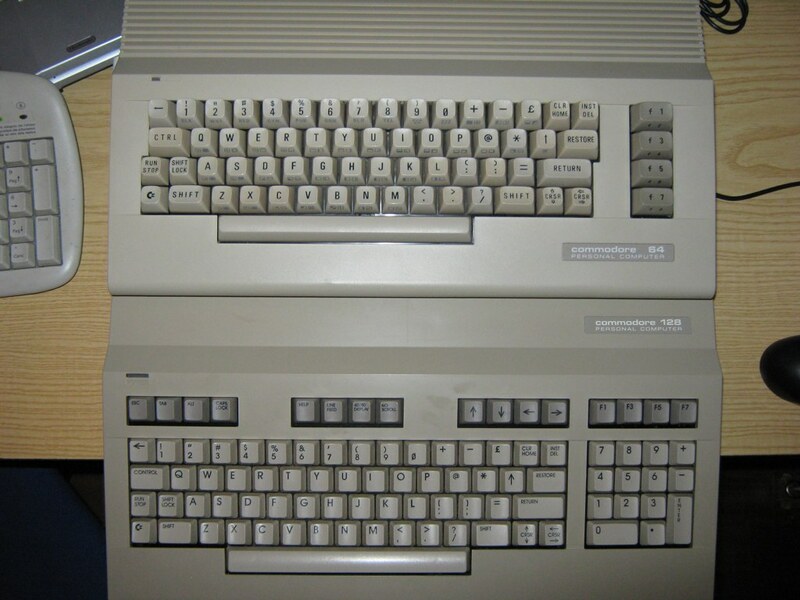 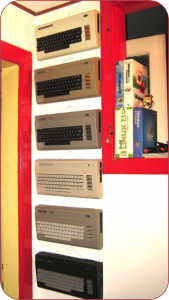 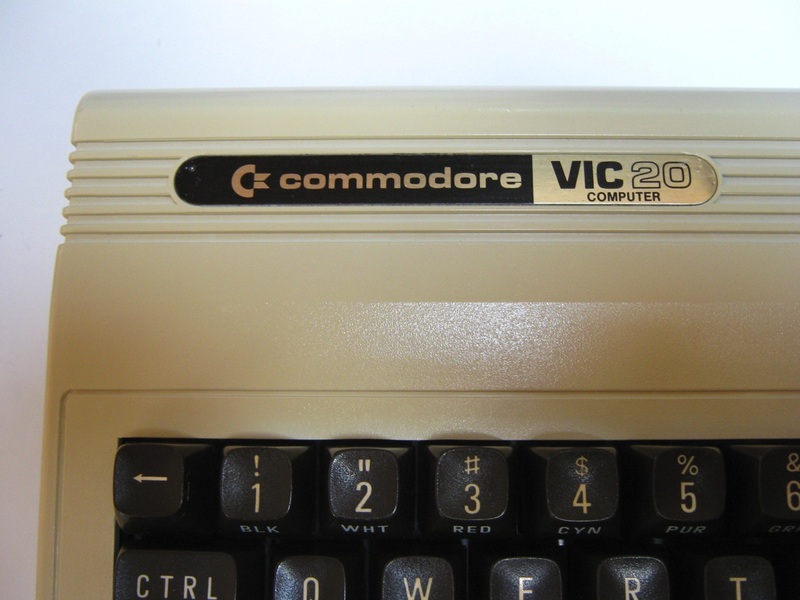 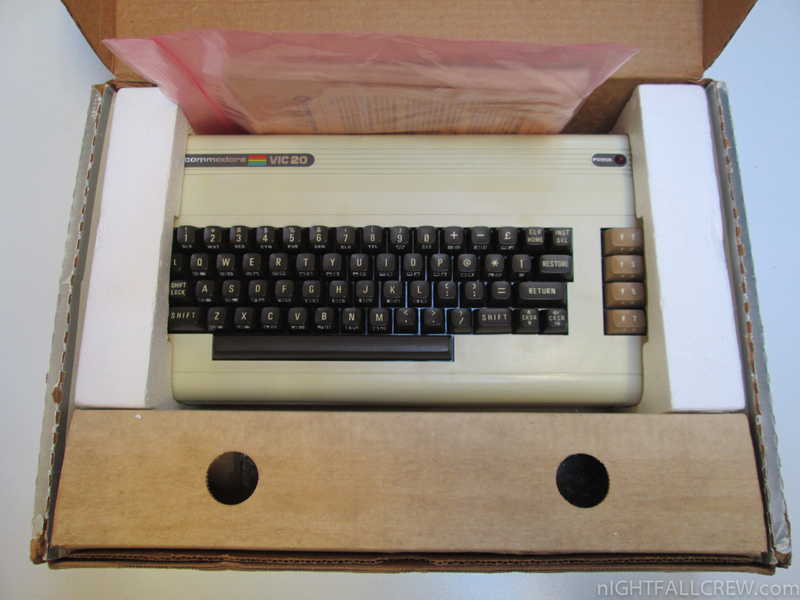 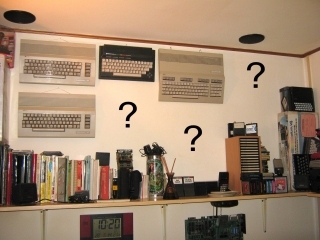 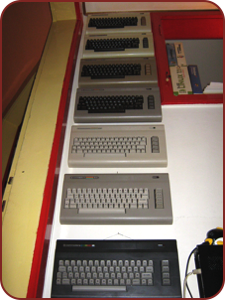 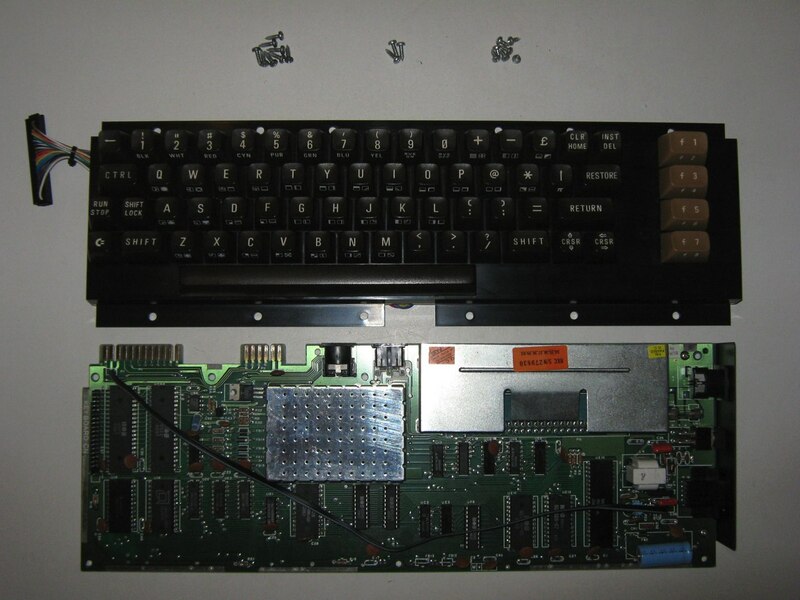 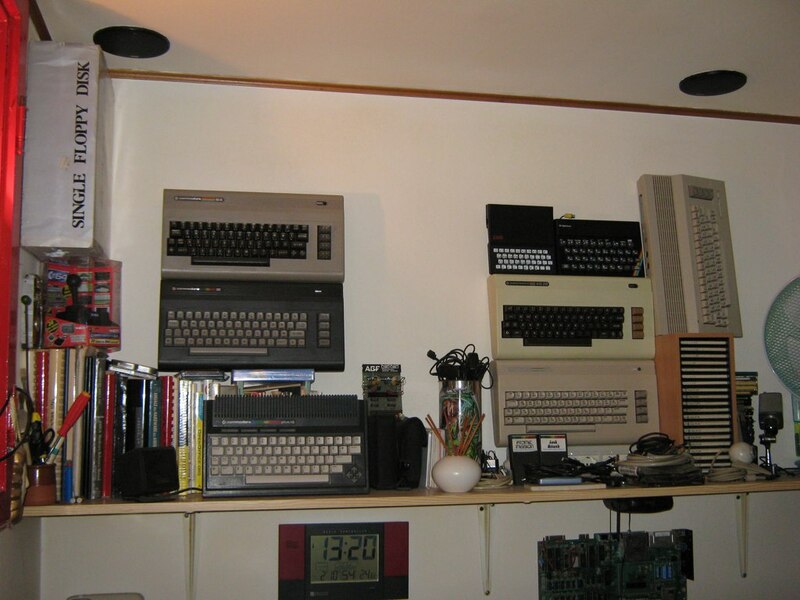 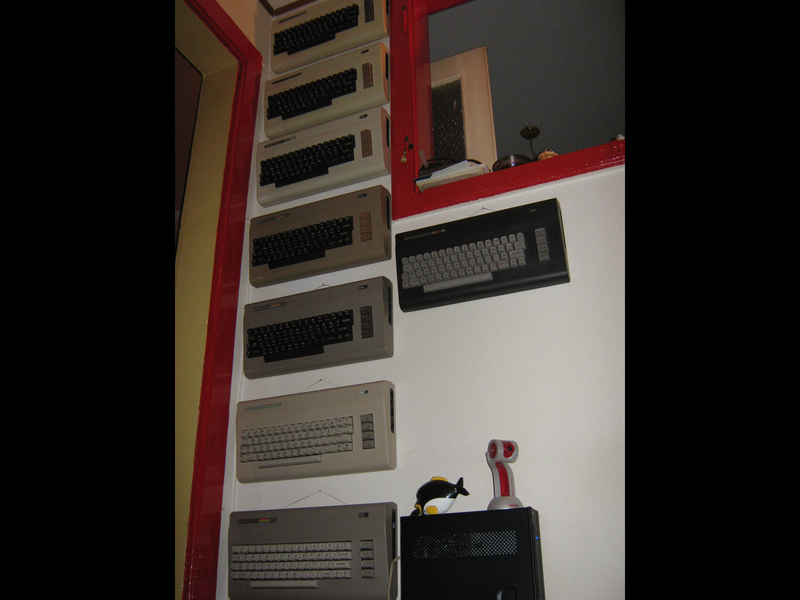 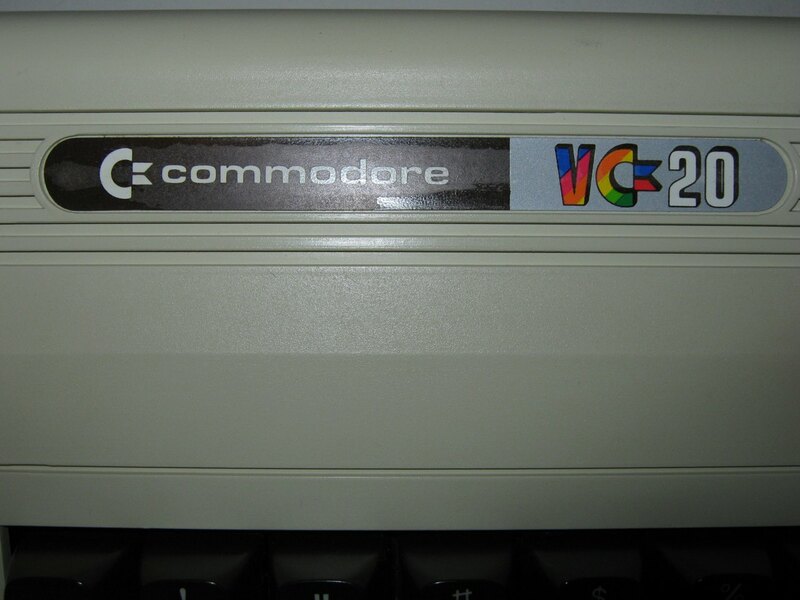 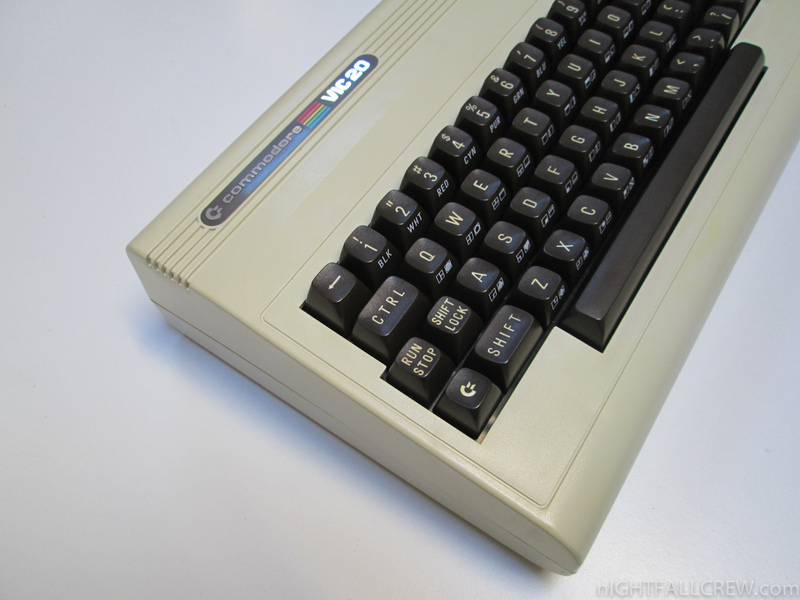 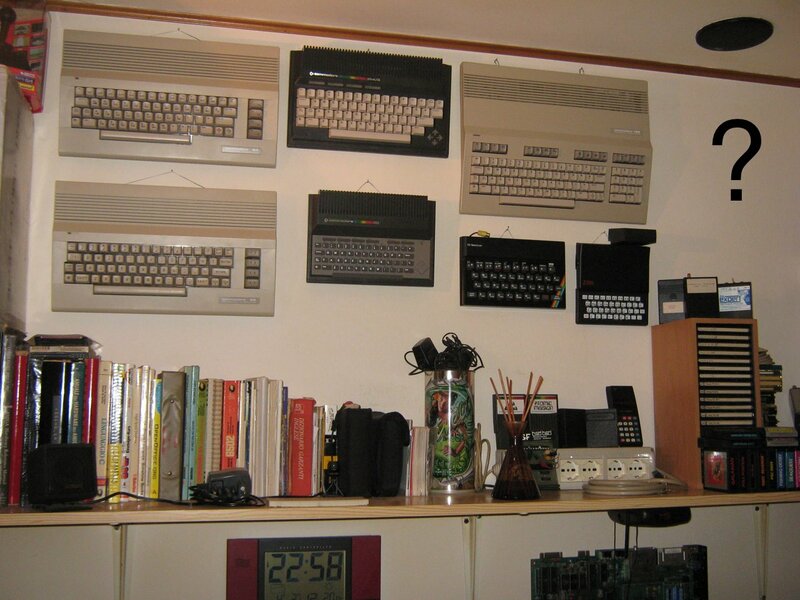 Those used on the very first VIC-20s were almost completely flat-topped and identical in shape to that of Commodore’s PET computer (however, on the VIC-20 the PET’s number pad was replaced by four wide function keys). 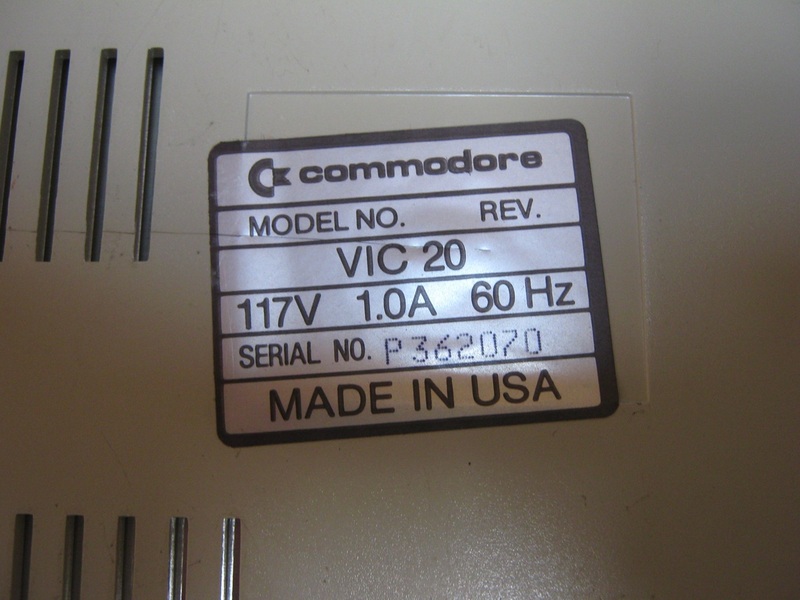 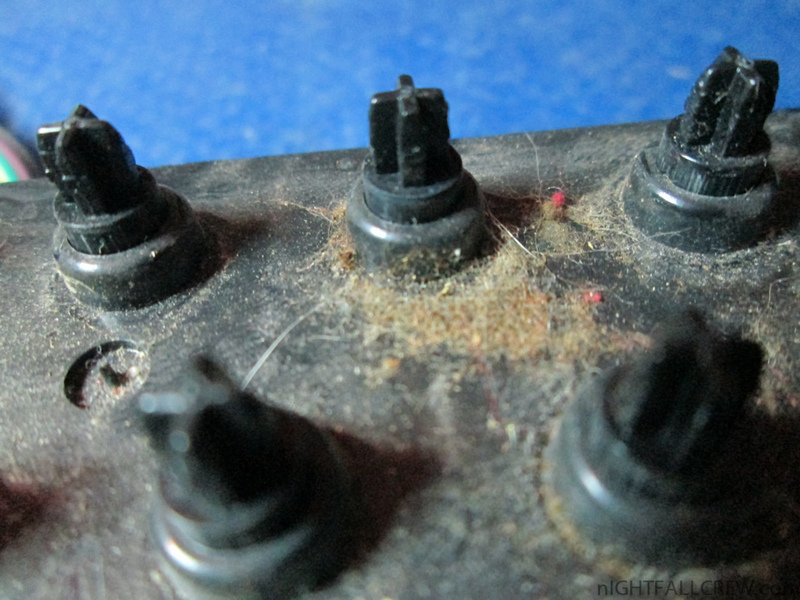 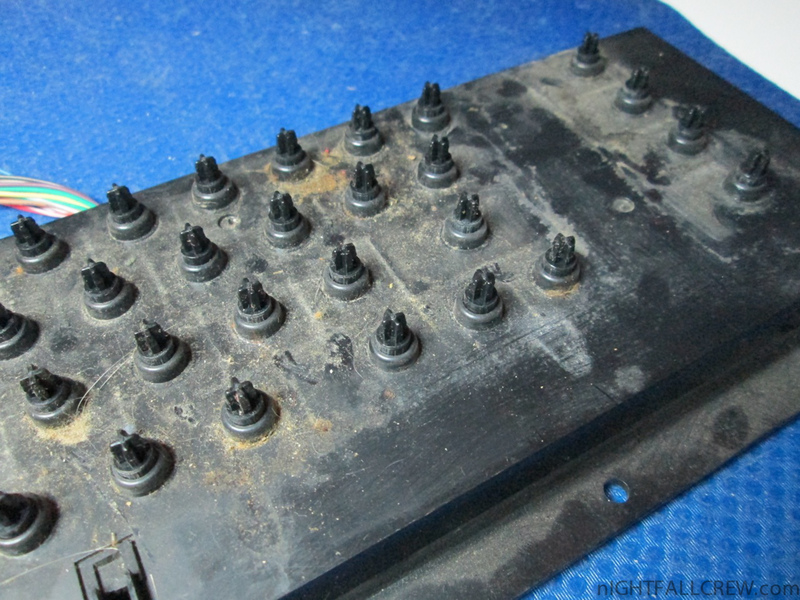 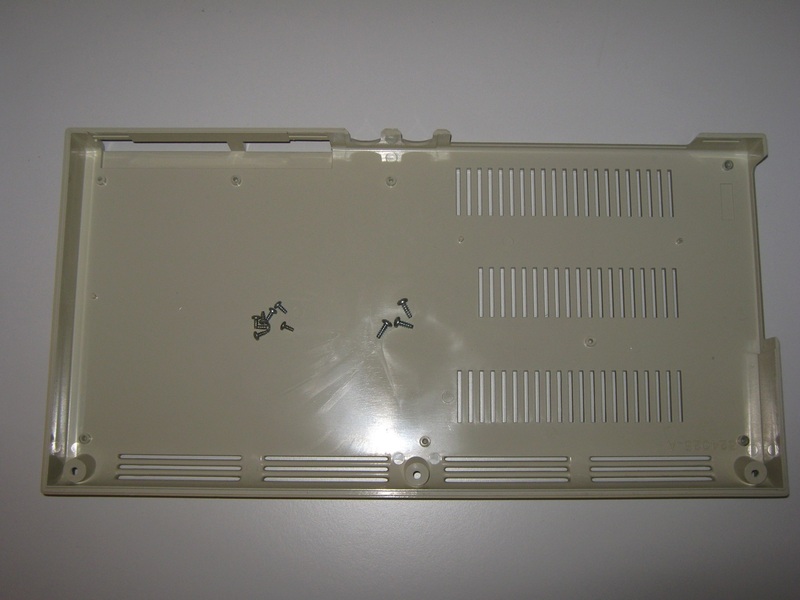 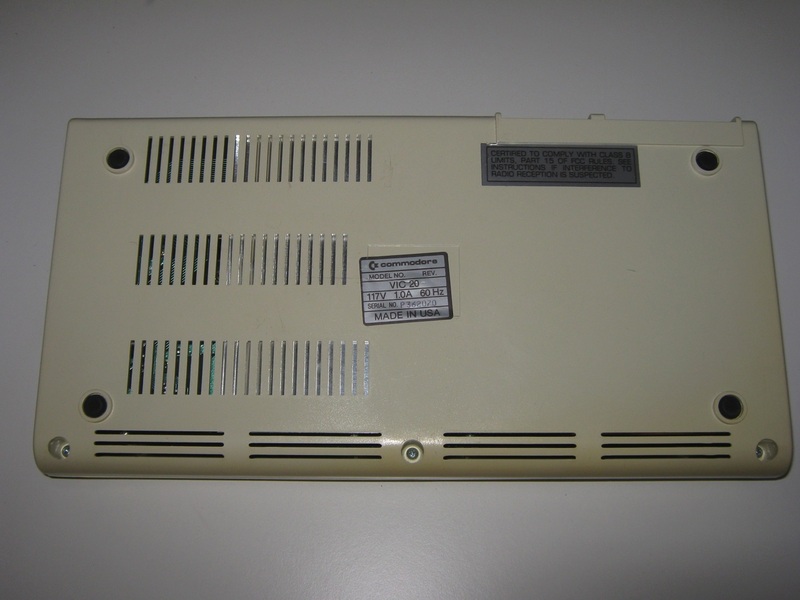 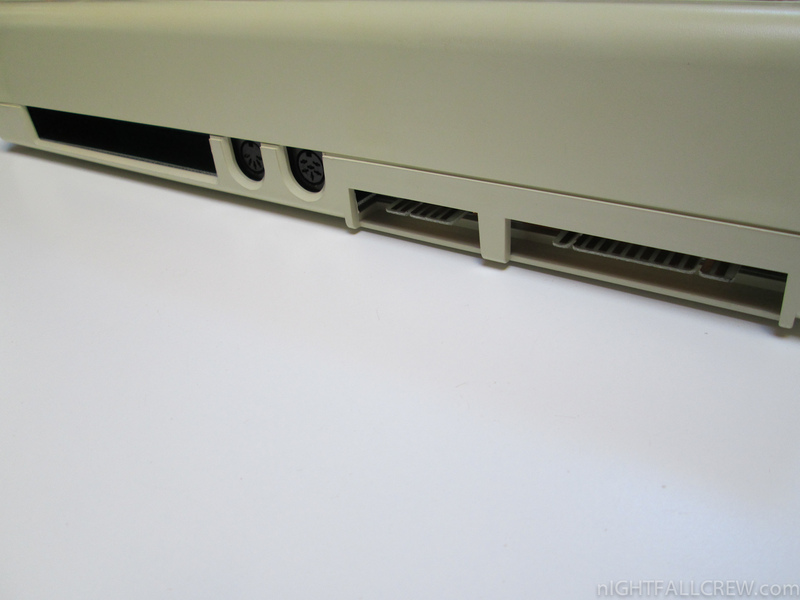 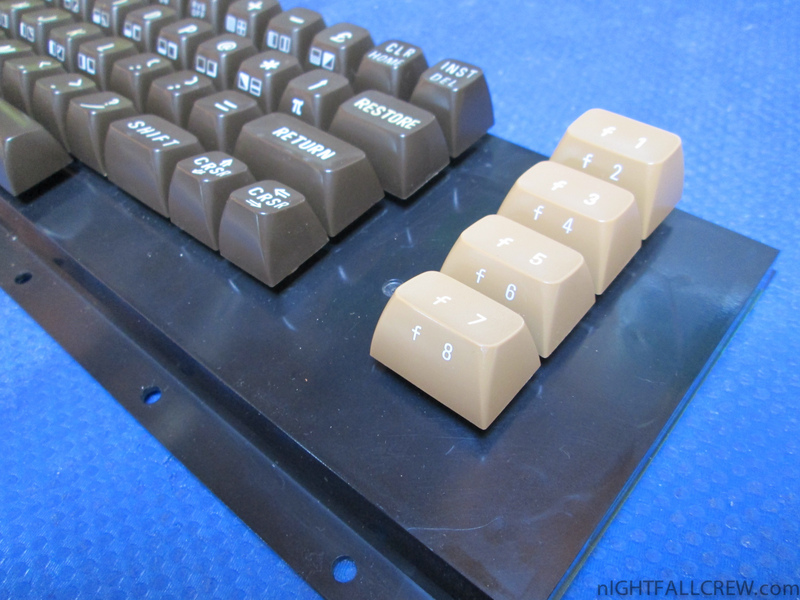 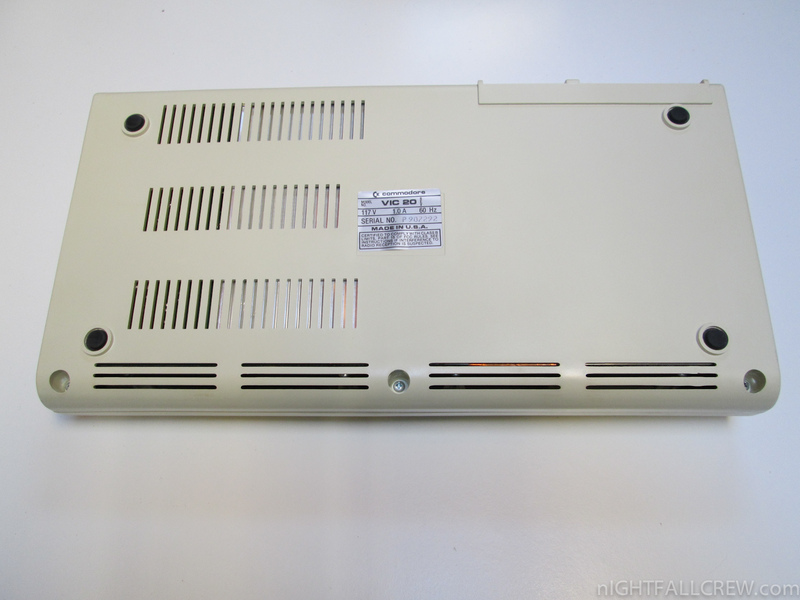 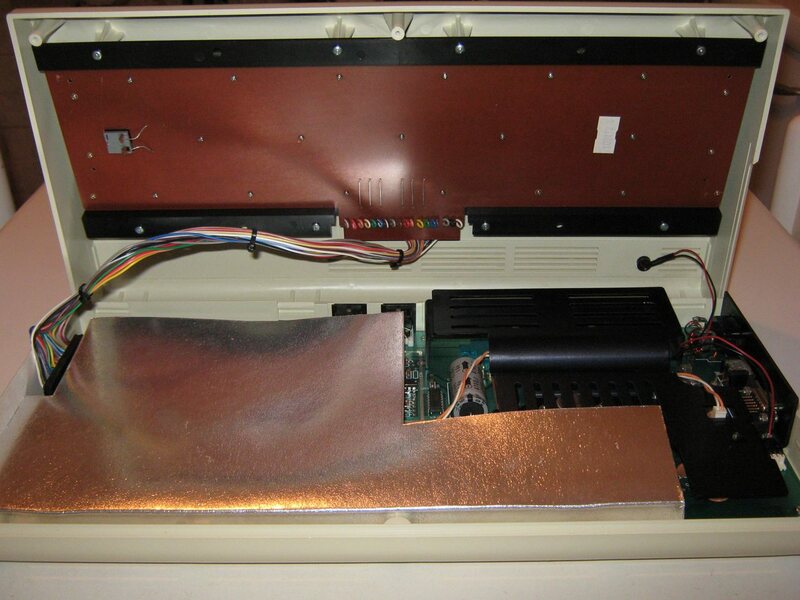 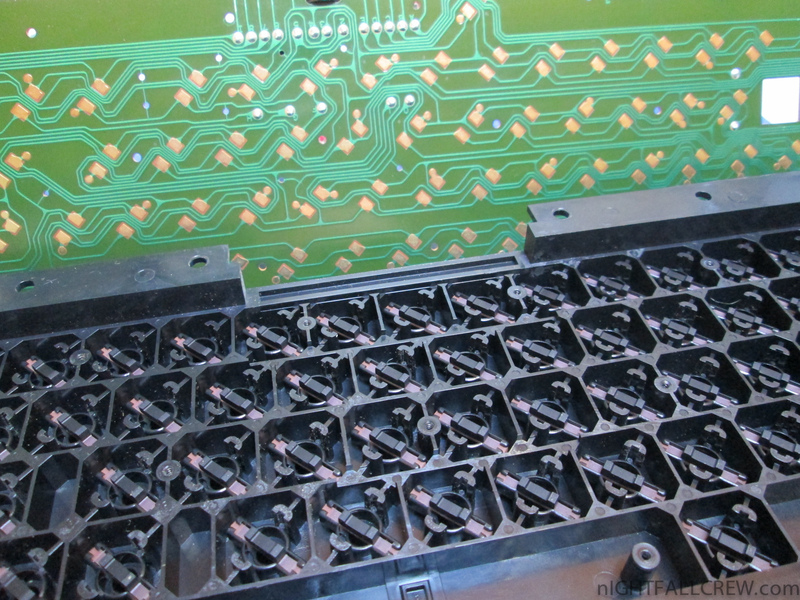 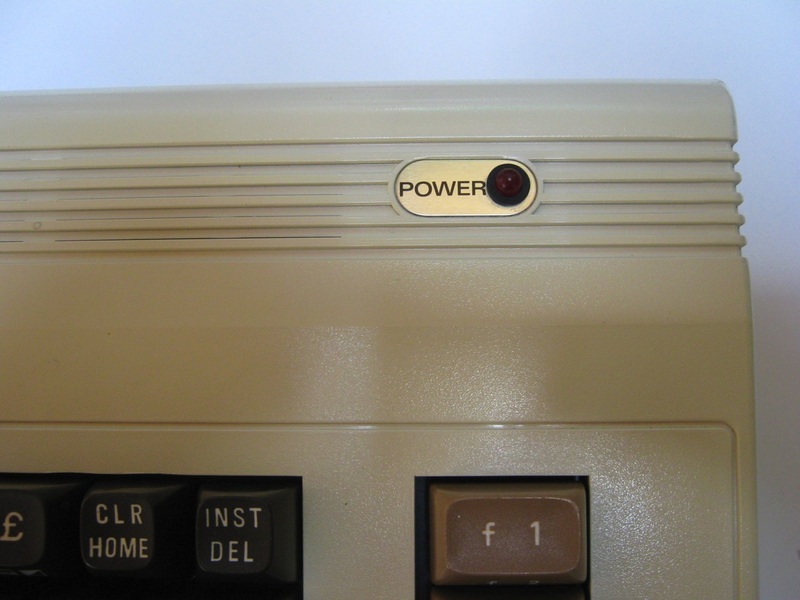 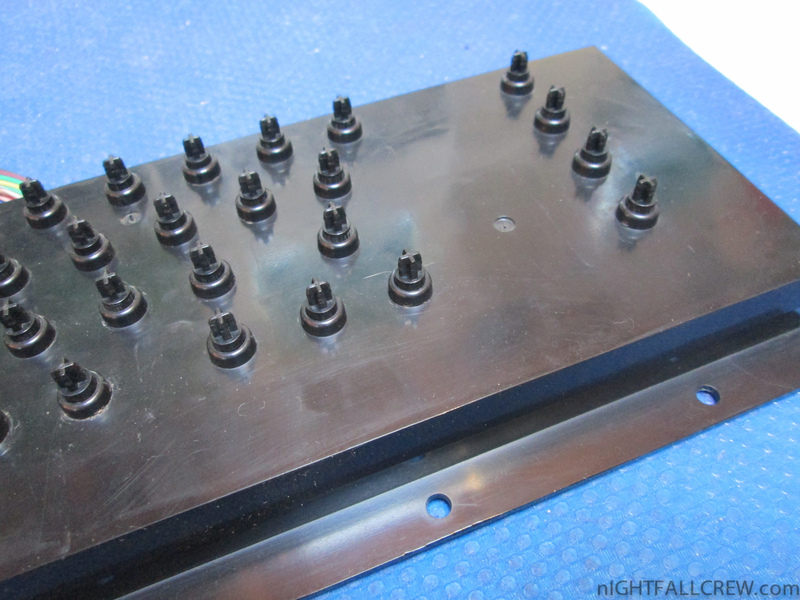 The keyboards on later VIC-20s were manufactured with slightly concave tops. 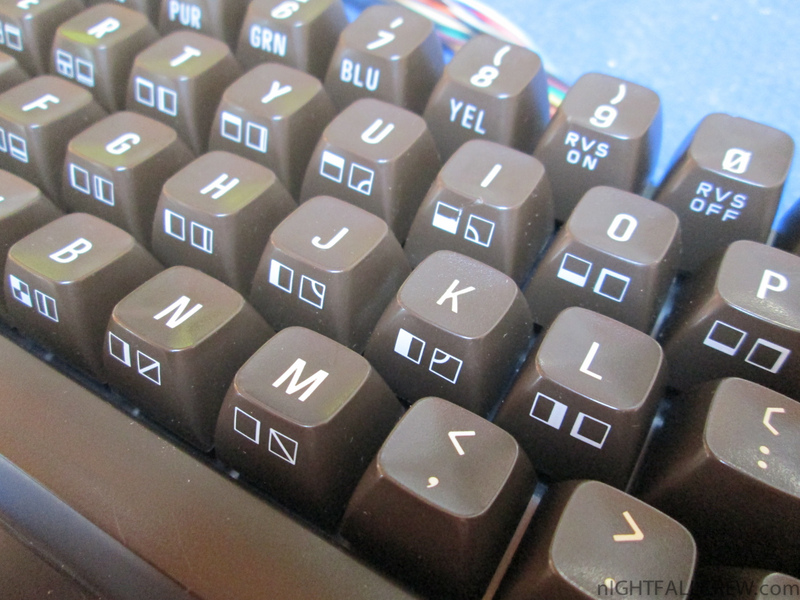 The concavity of the “F” and “J” keys was slightly more prominent to provide tactile feedback for touch-typists seeking the “home” position. 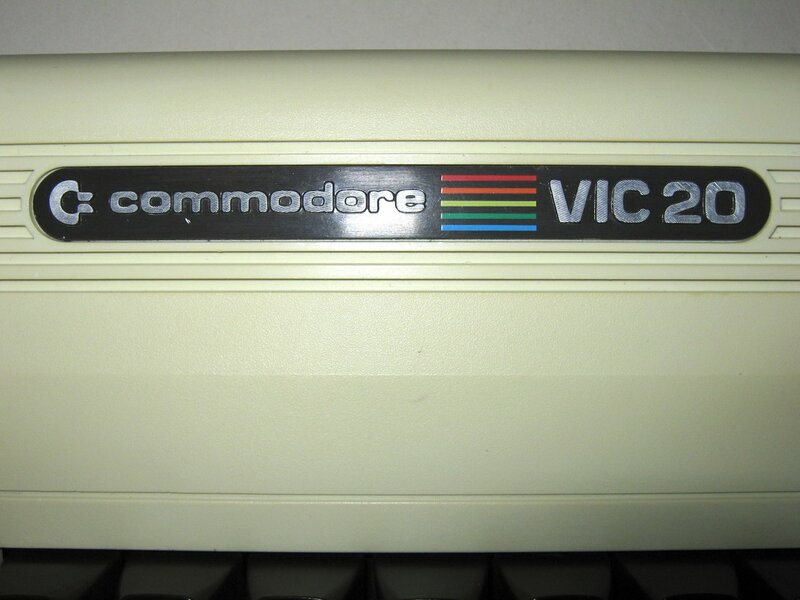 The VIC-20 was intended to be more economical than the PET computer. 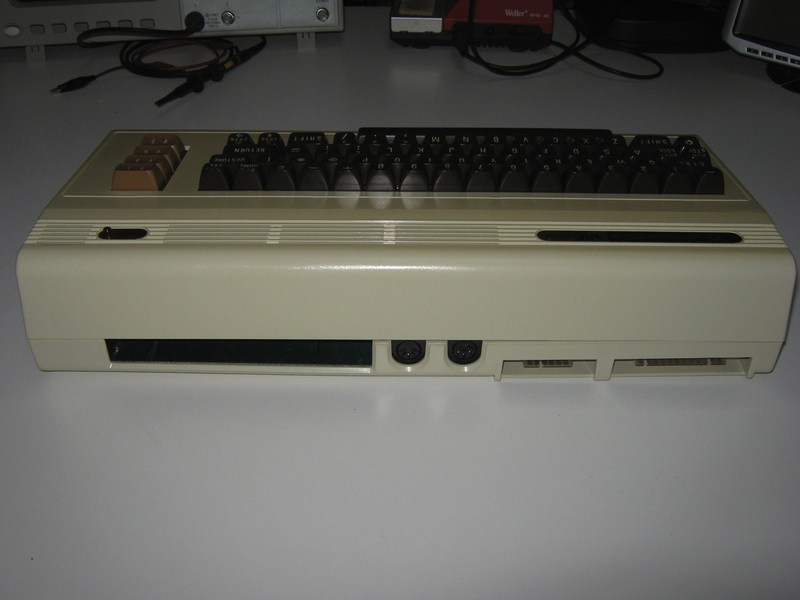 It was equipped with only 5 kB of RAM (of this, only 3.5 KB were available to the BASIC programmer) and used the same MOS 6502 CPU as the PET. 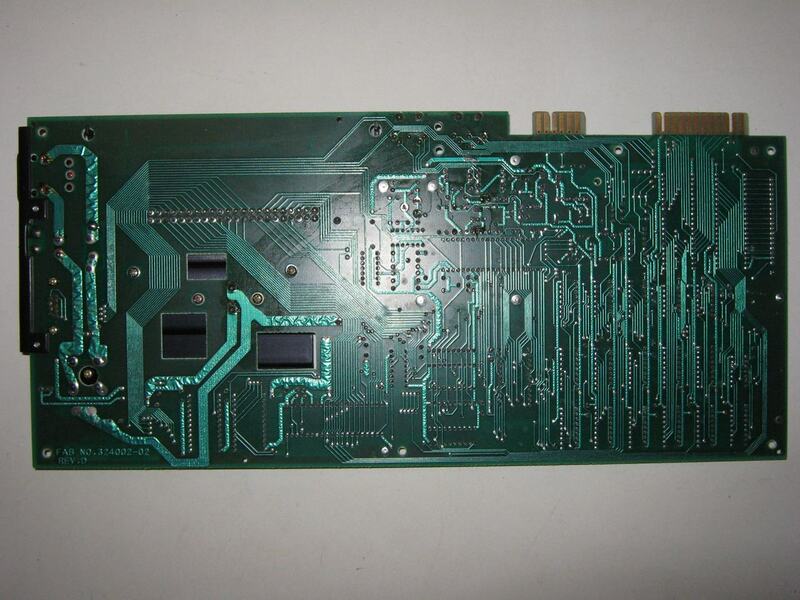 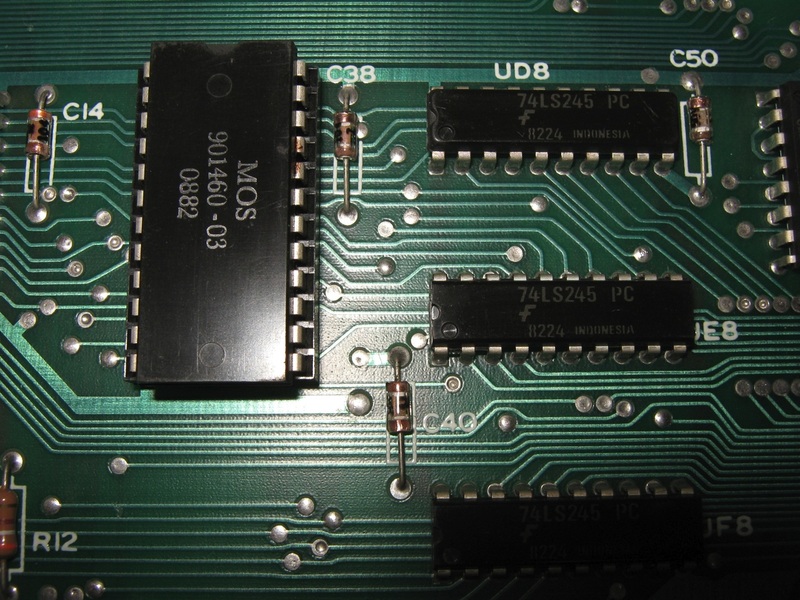 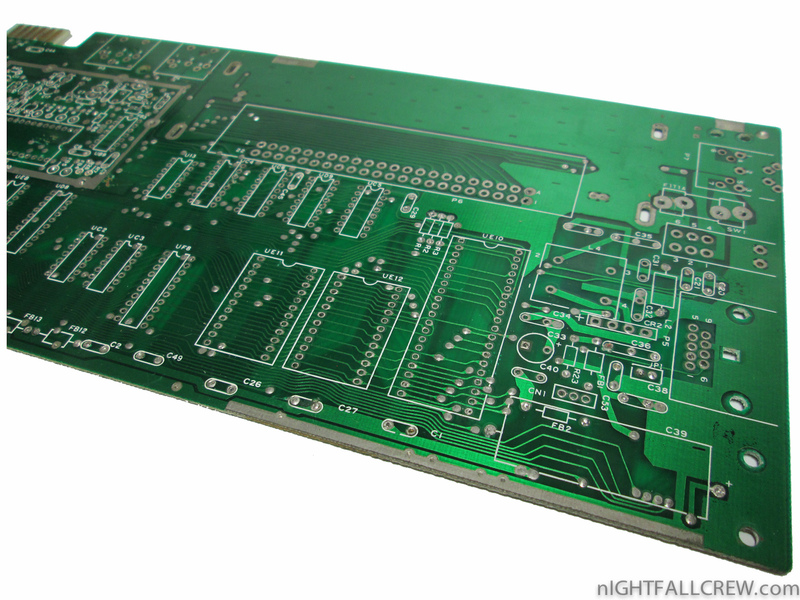 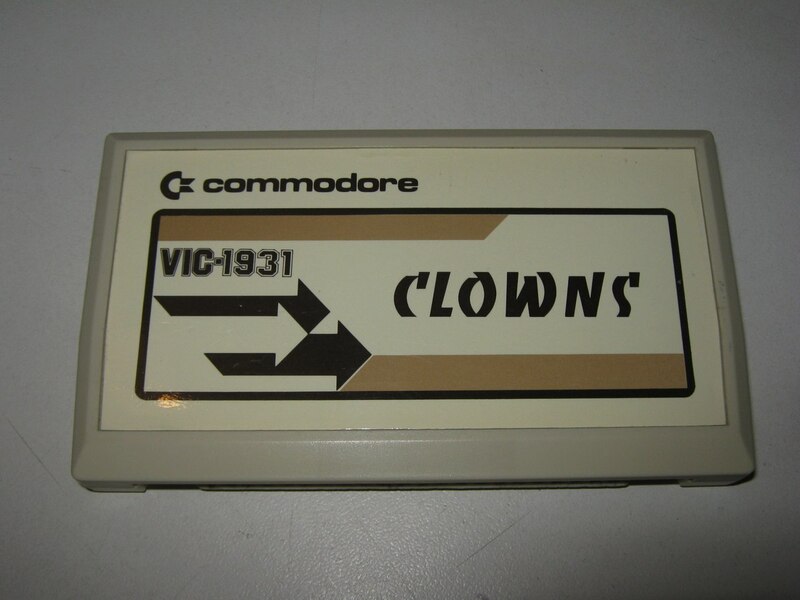 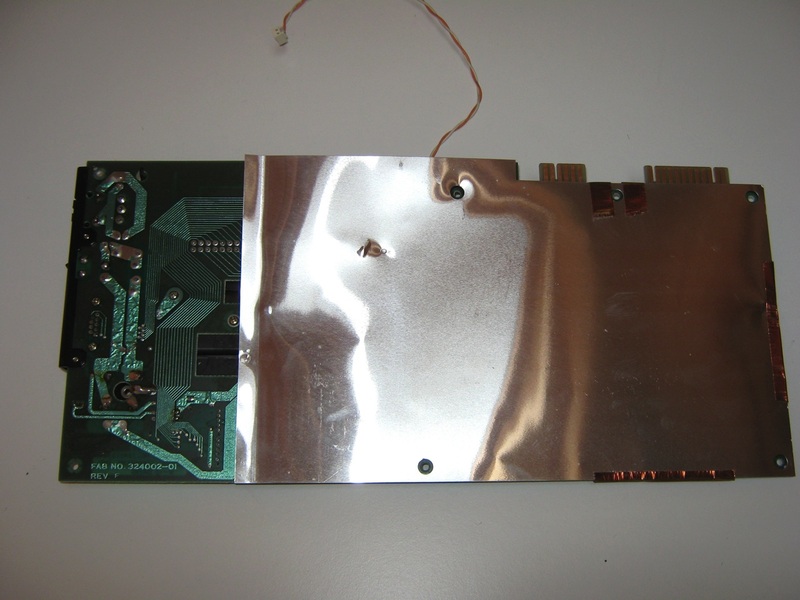 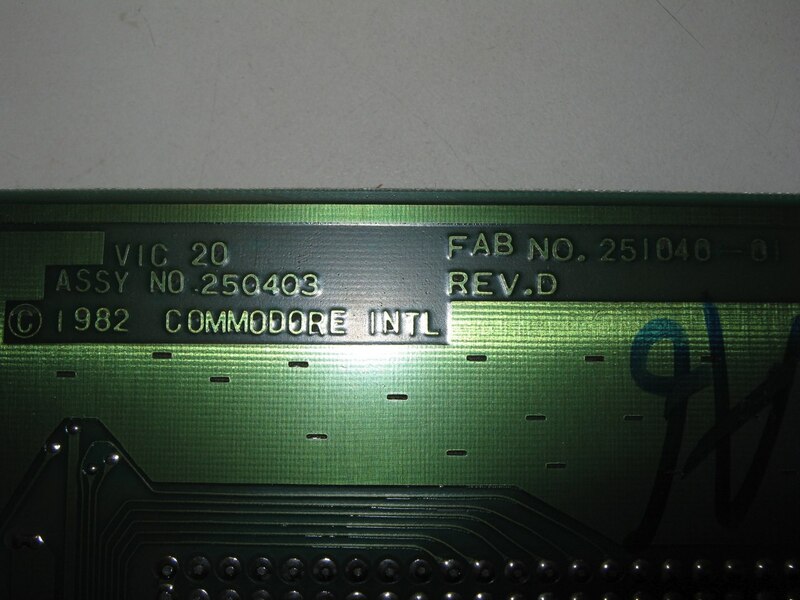 The VIC-20′s video chip, the MOS Technology VIC, was a general-purpose color video chip designed by Al Charpentier in 1977 and intended for use in inexpensive display terminals and game consoles, but Commodore could not find a market for the chip. 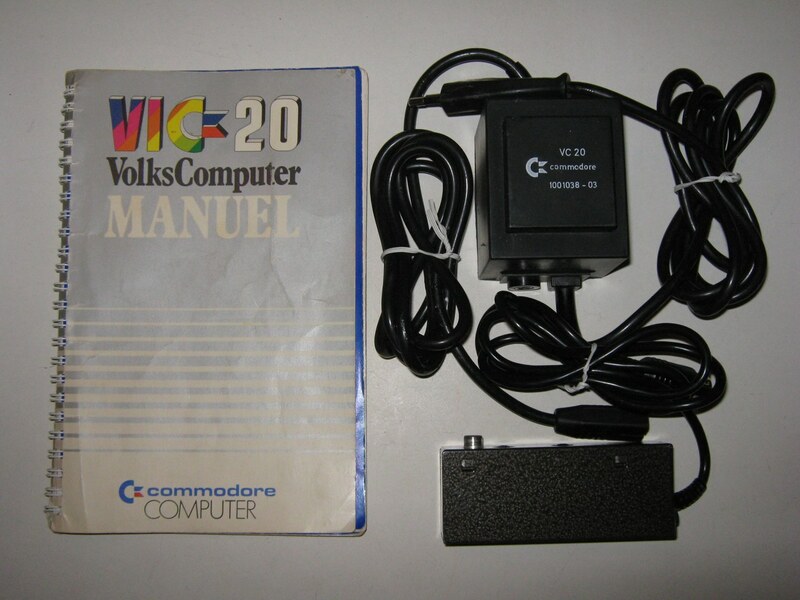 As the Apple II gained momentum with the advent of VisiCalc in 1979, Jack Tramiel wanted a product that would compete in the same segment, to be presented at the January 1980 CES. 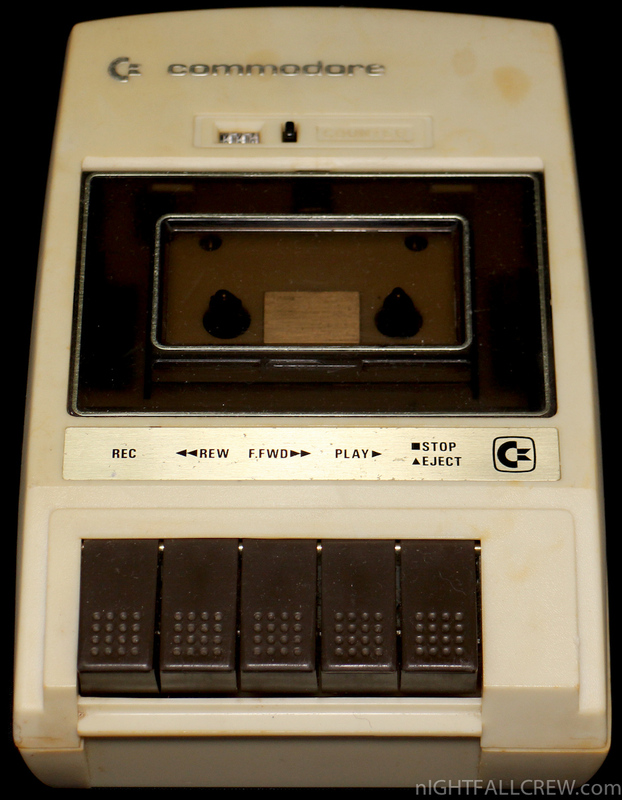 For this reason Chuck Peddle and Bill Seiler started to design a computer named TOI (The Other Intellect). 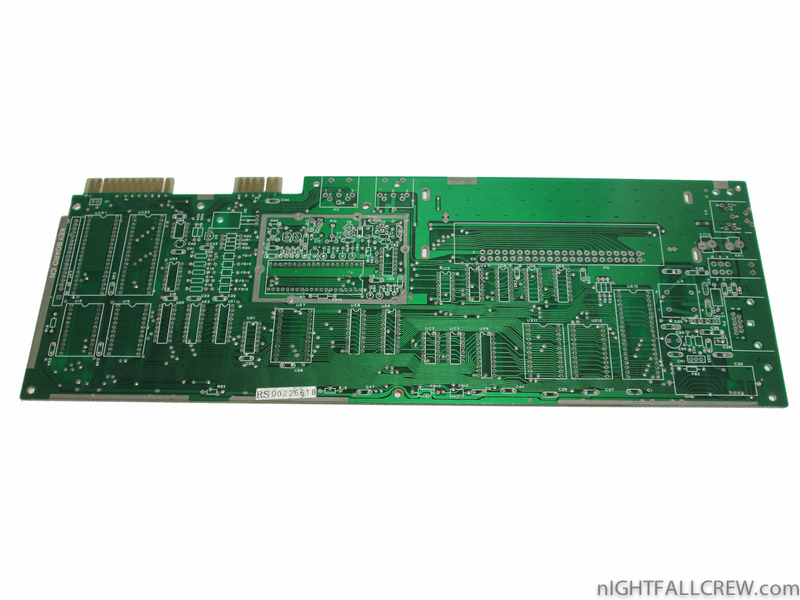 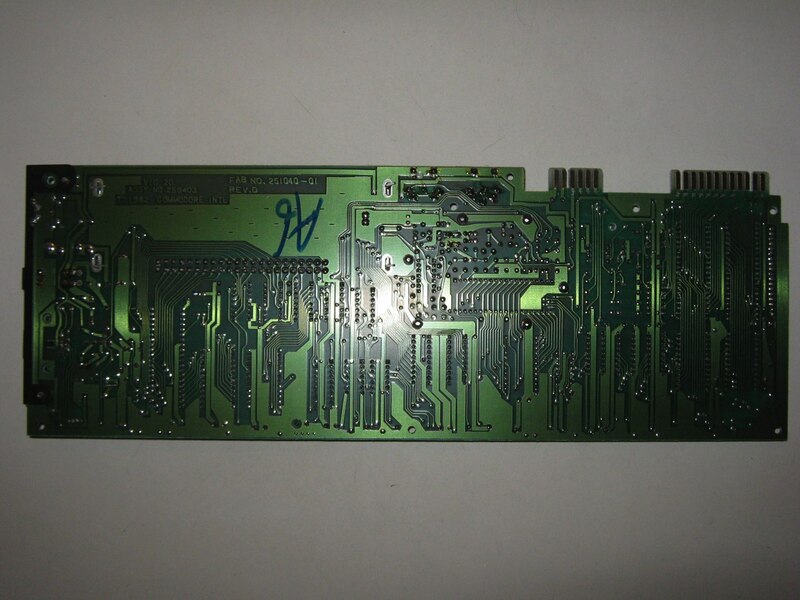 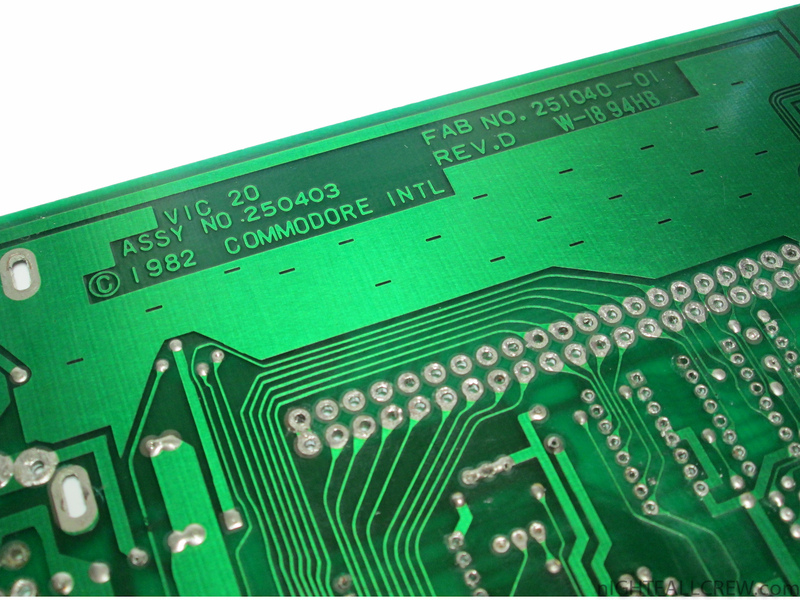 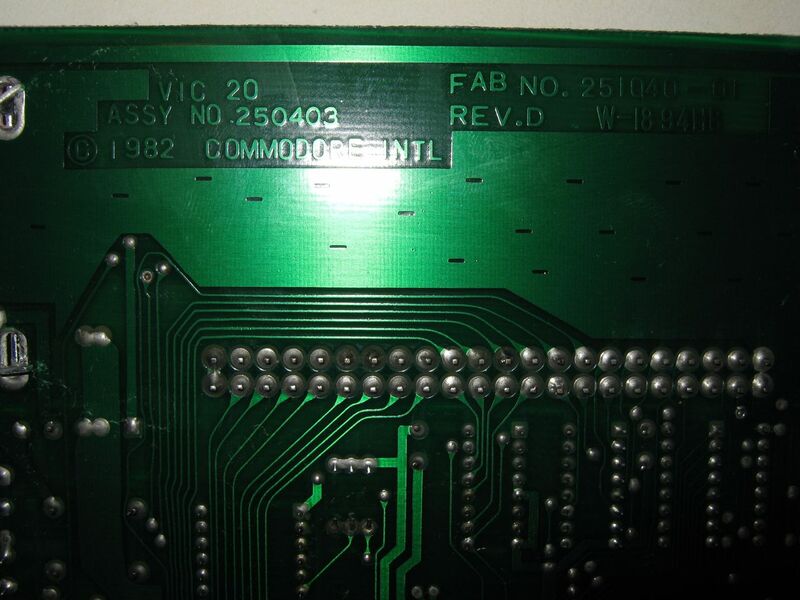 Commodore VIC-20 ASSY 251040-01 Empty PCB. 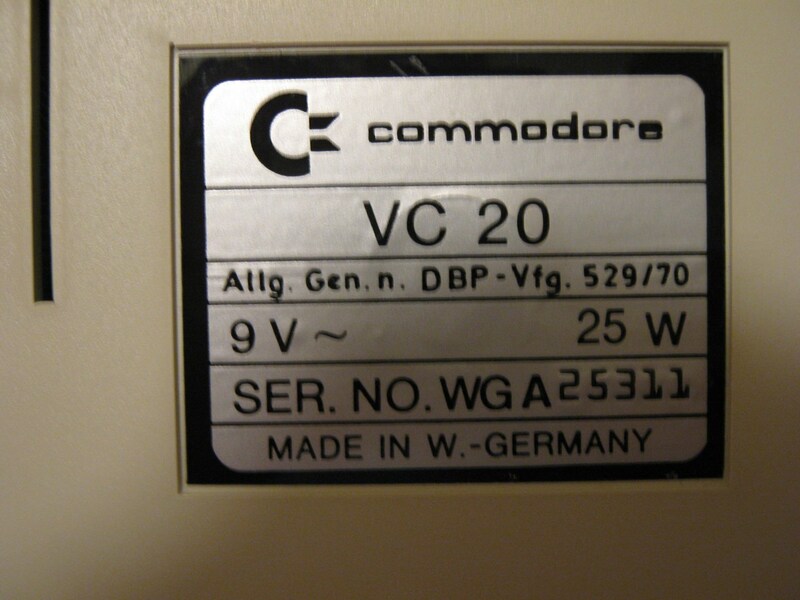 The VIC-20 was intended to be more economical than the PET computer. 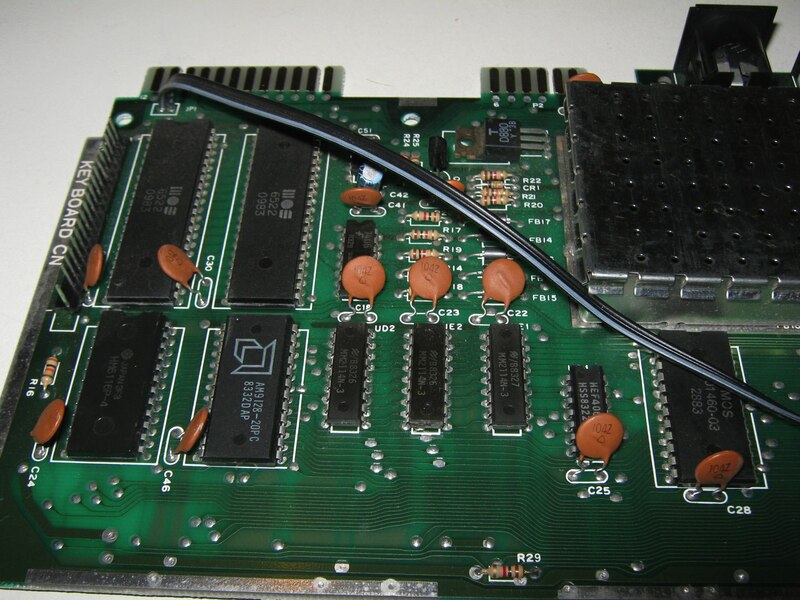 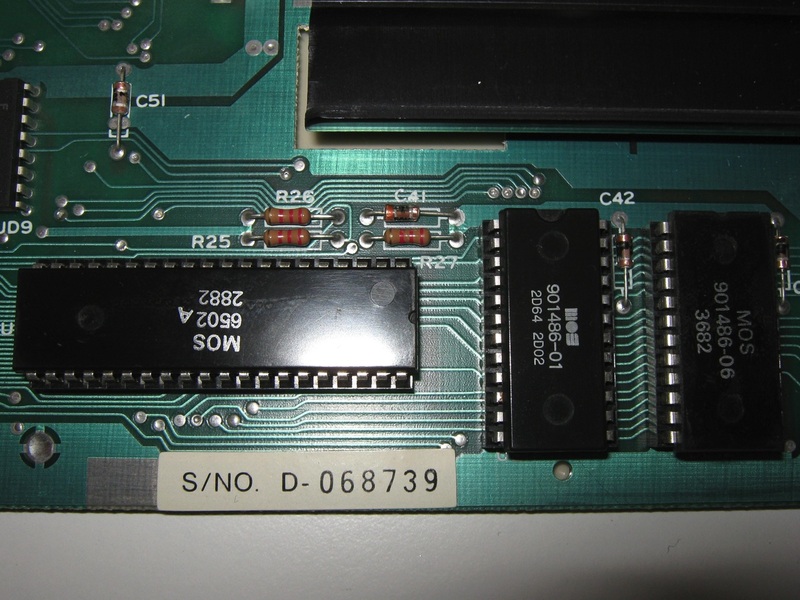 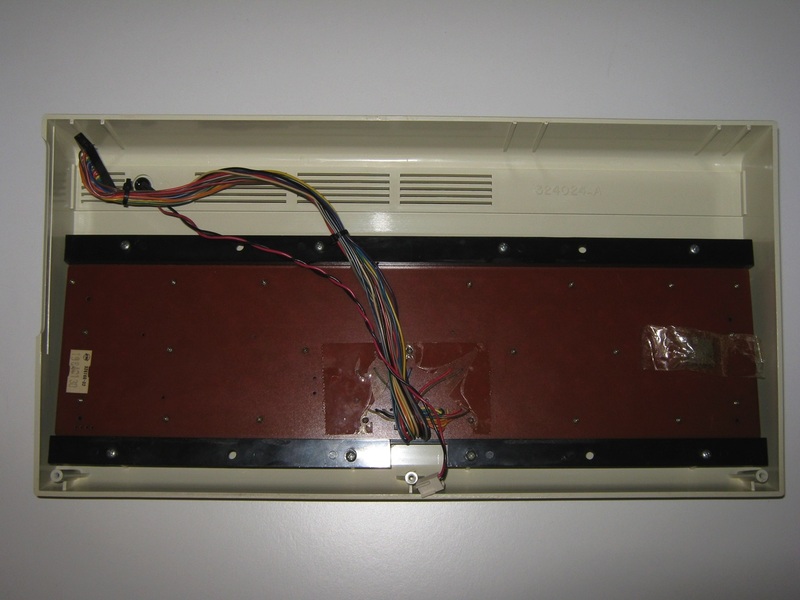 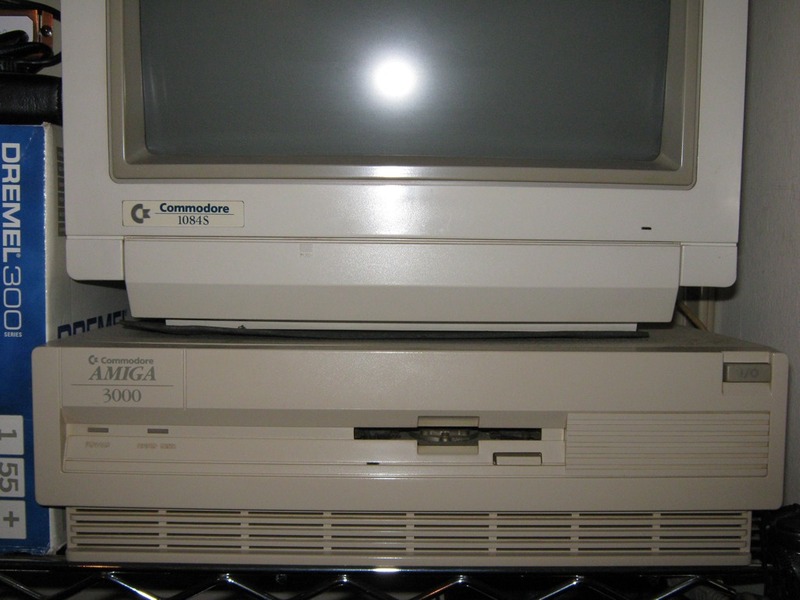 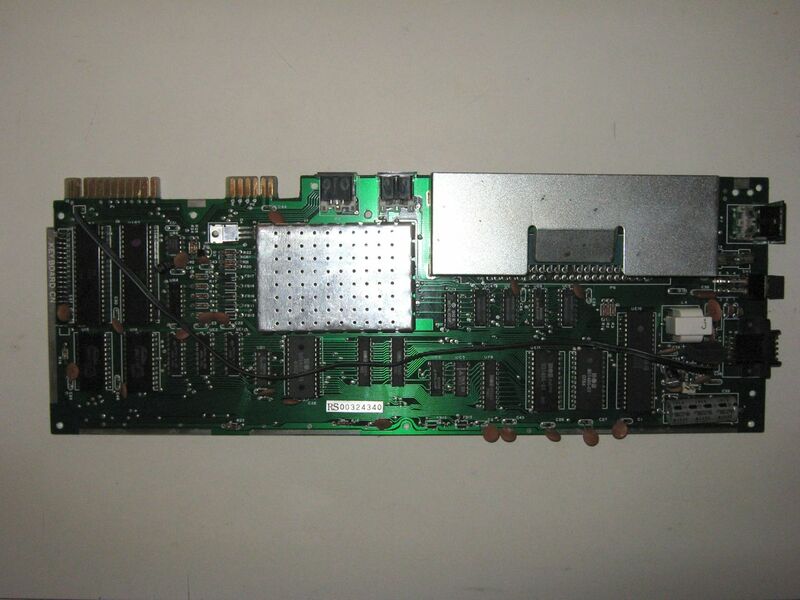 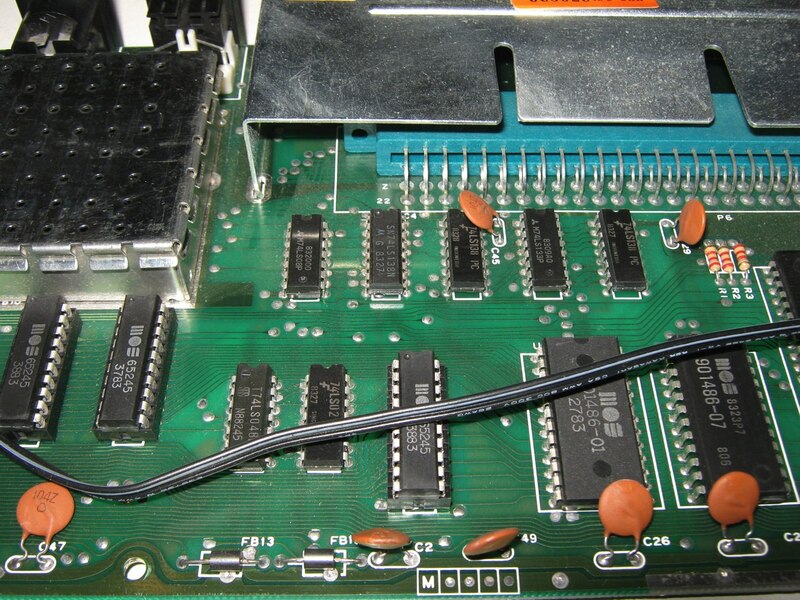 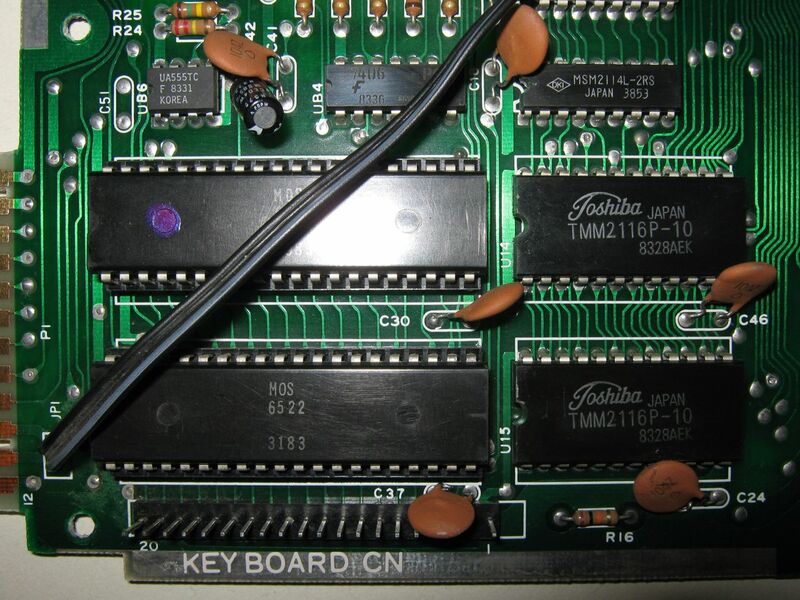 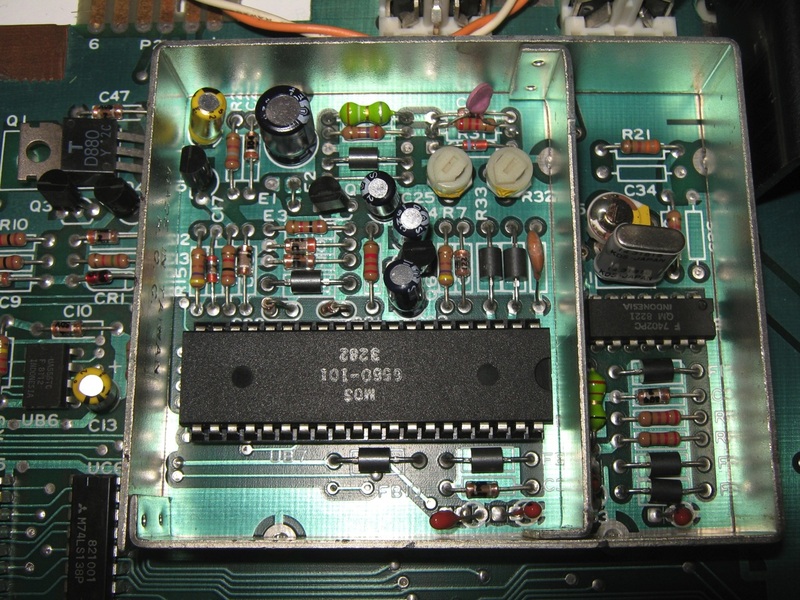 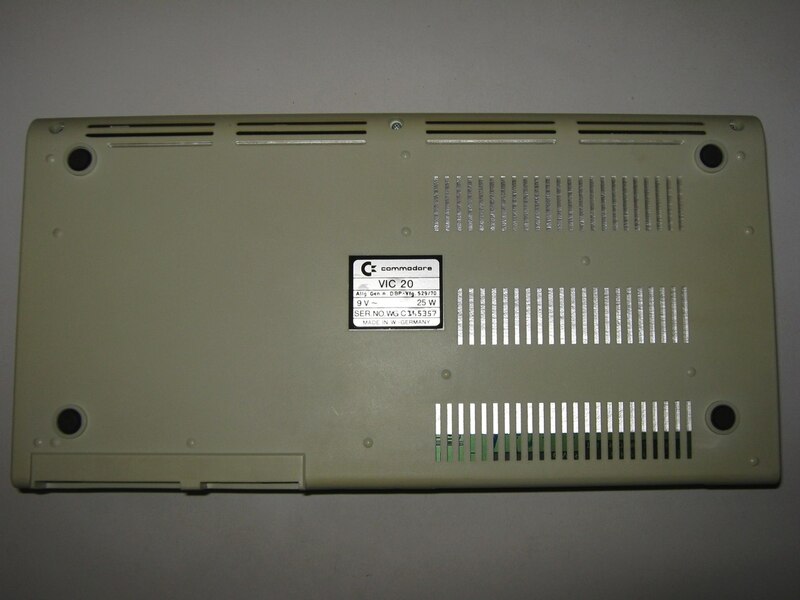 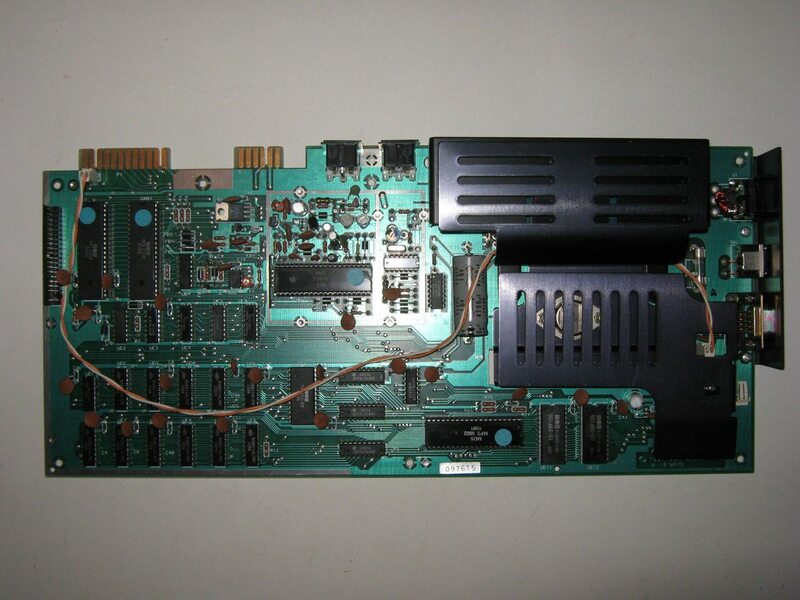 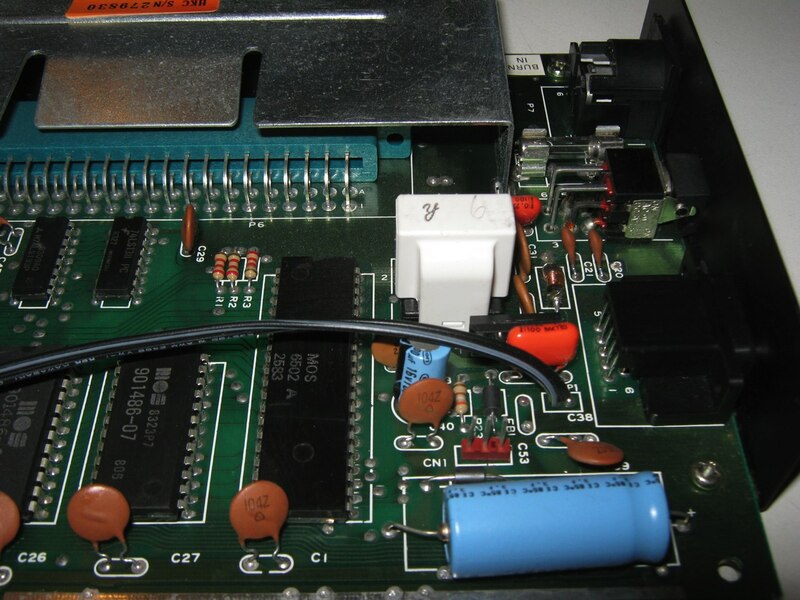 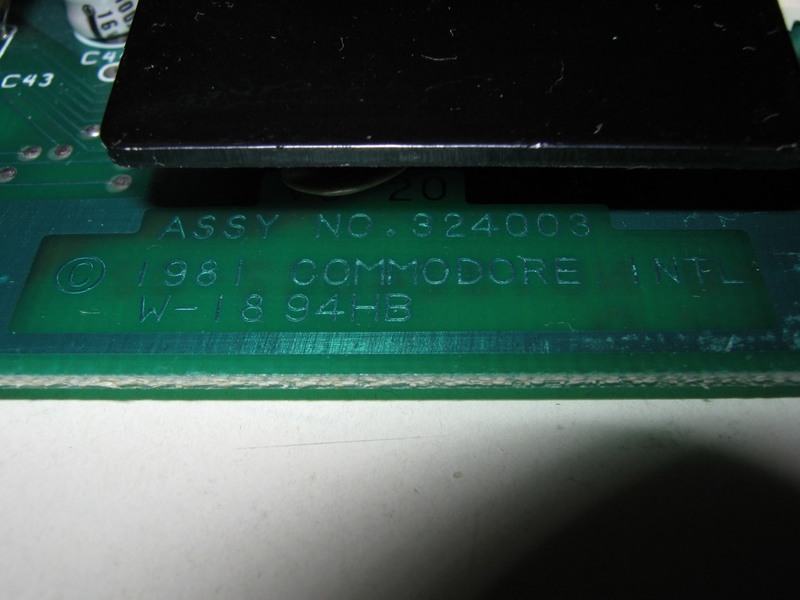 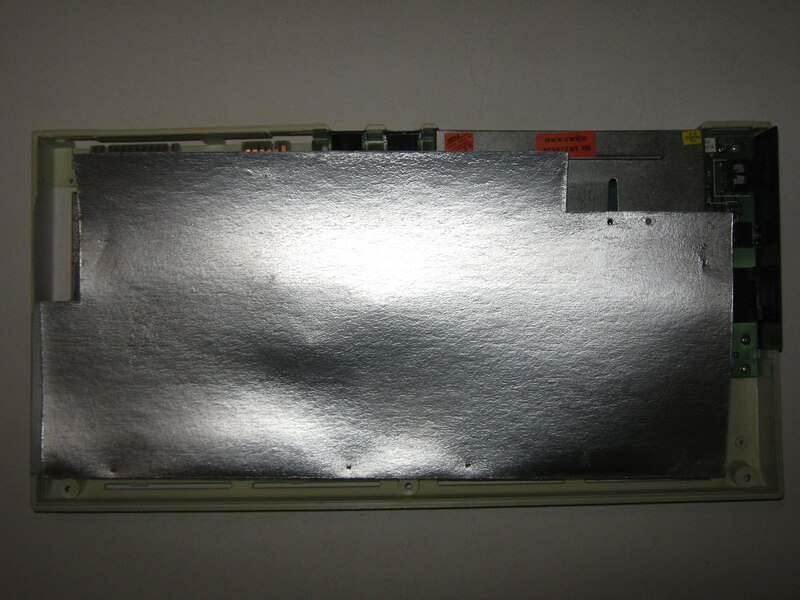 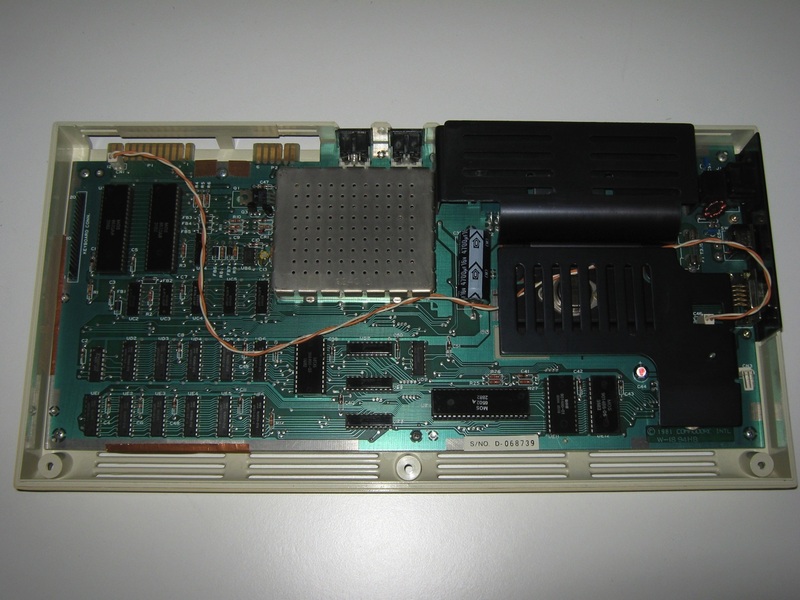 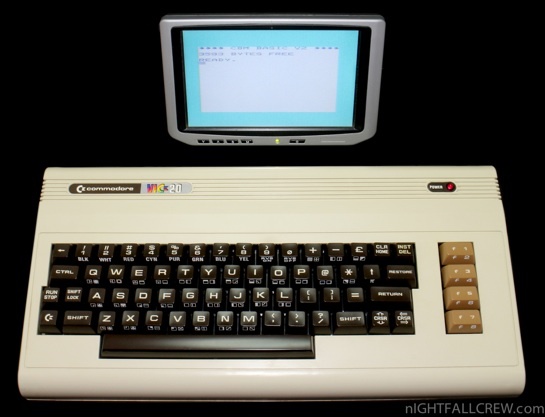 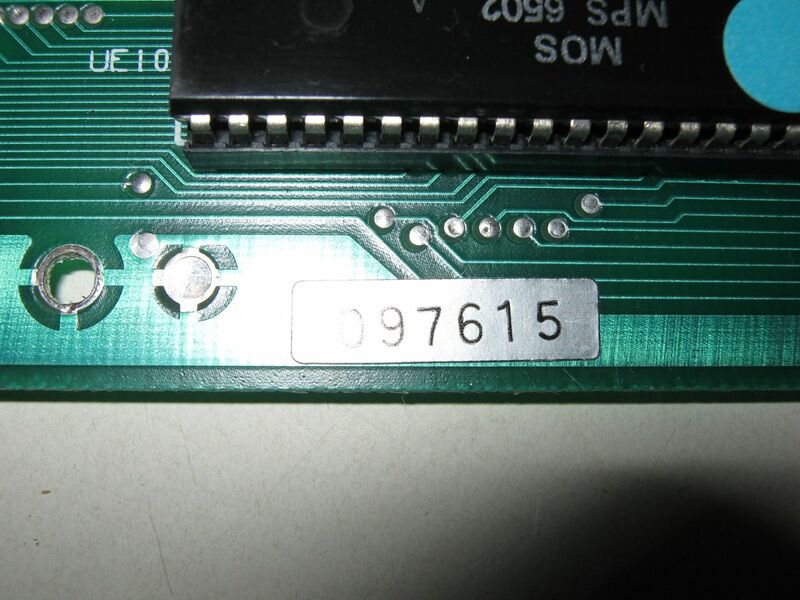 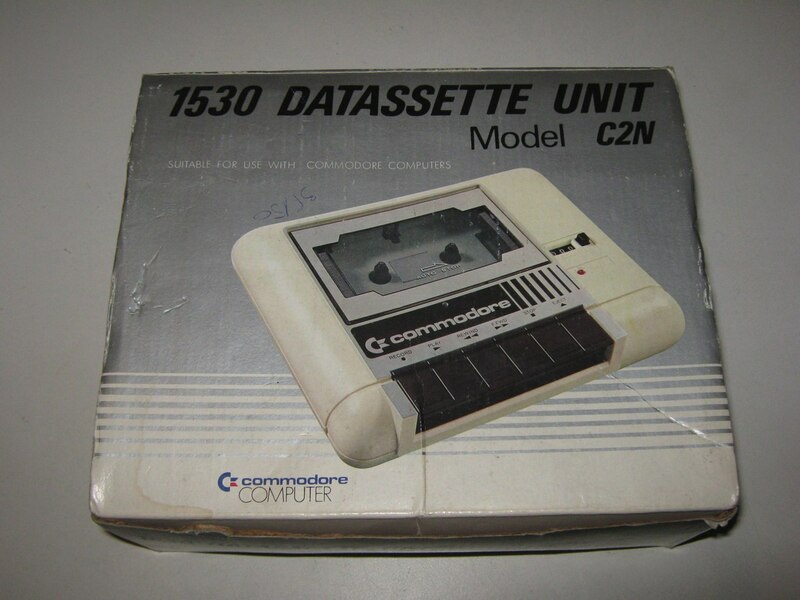 It was equipped with only 5 kB of RAM (of this, only 3583 bytes were available to the BASIC programmer) and used the same MOS 6502 CPU as the PET. 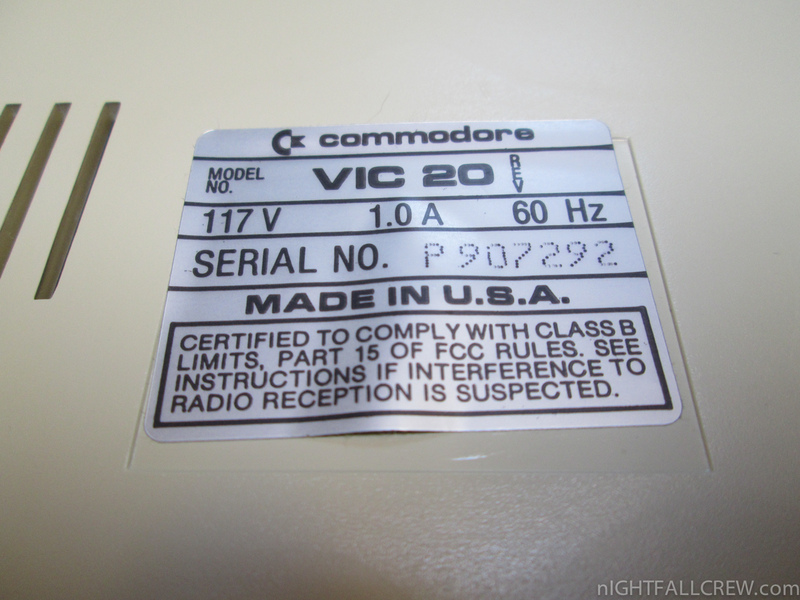 The VIC-20′s video chip, the MOS Technology VIC, was a general-purpose color video chip designed by Al Charpentier in 1977 and intended for use in inexpensive display terminals and game consoles, but Commodore could not find a market for the chip. 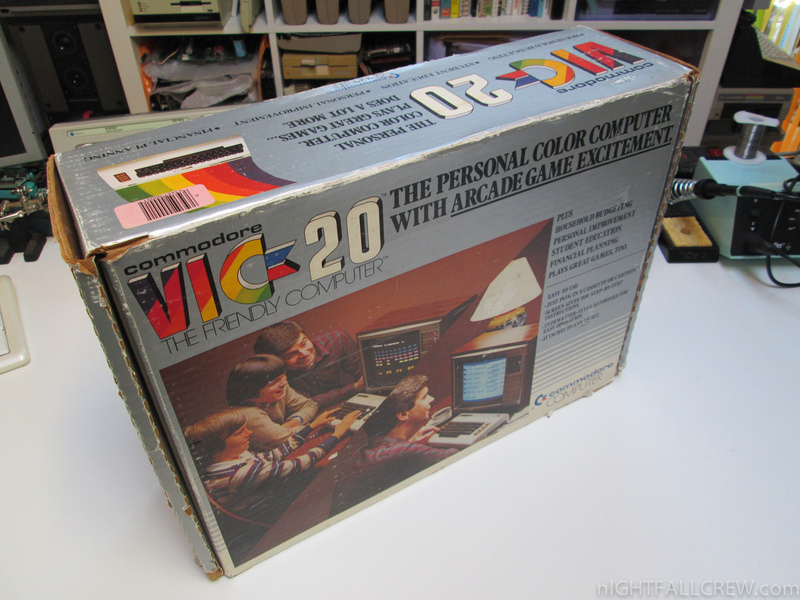 As the Apple II gained momentum with the advent of VisiCalc in 1979, Jack Tramiel wanted a product that would compete in the same segment, to be presented at the January 1980 CES. For this reason Chuck Peddle and Bill Seiler started to design a computer named TOI (The Other Intellect). 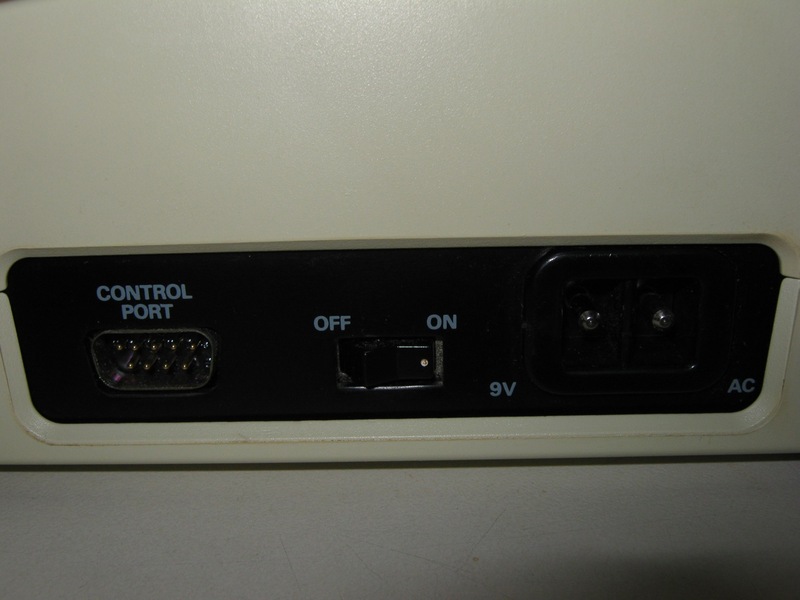 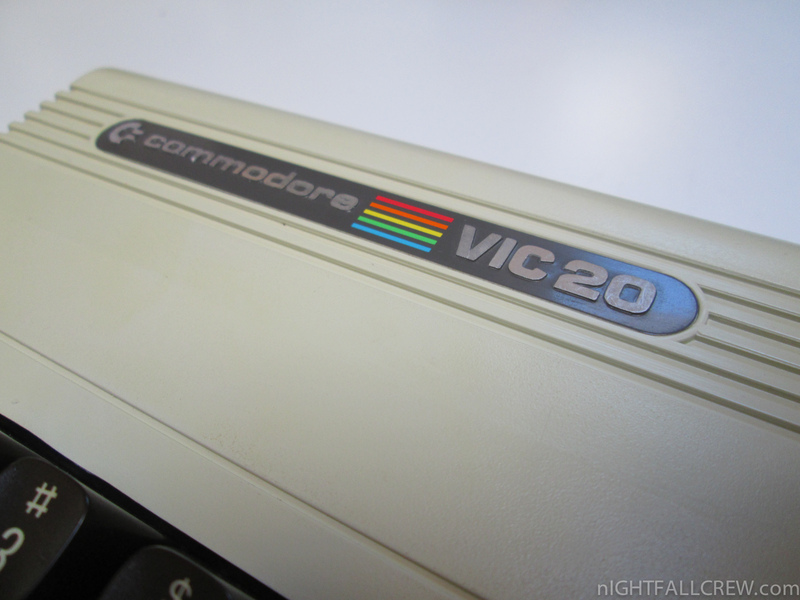 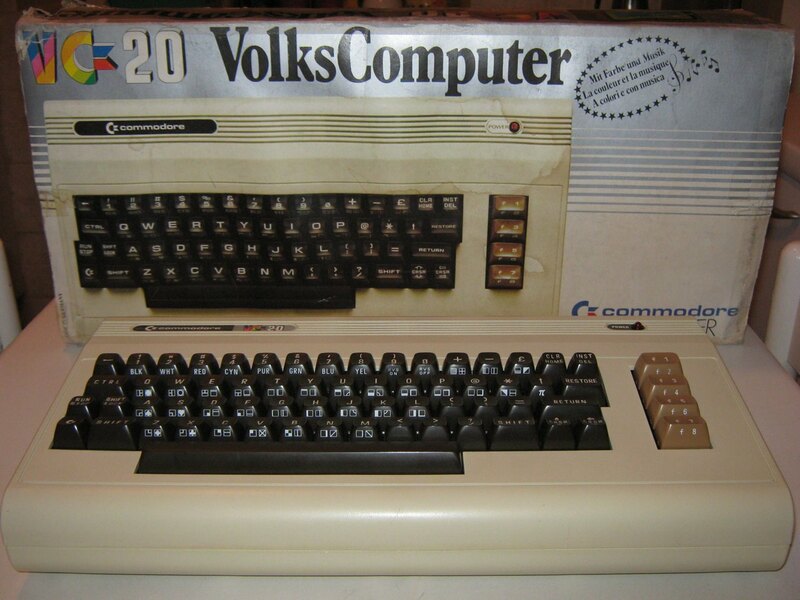 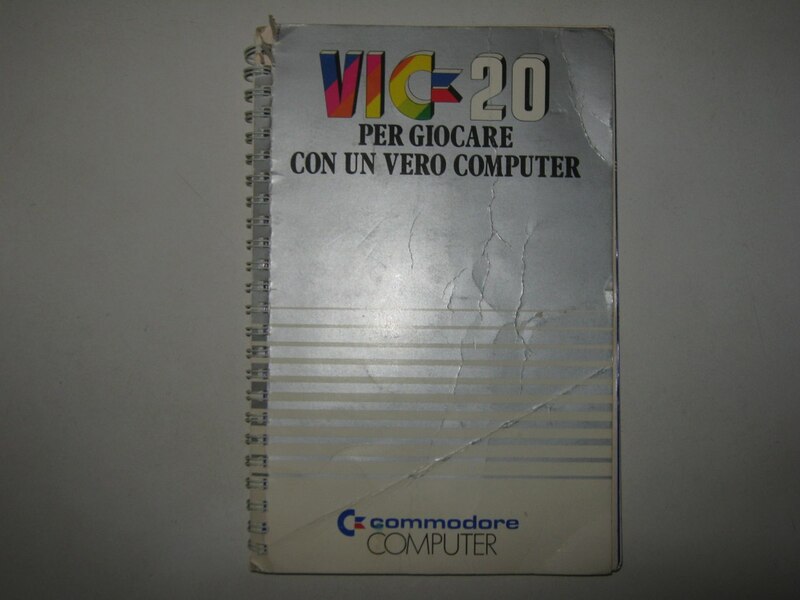 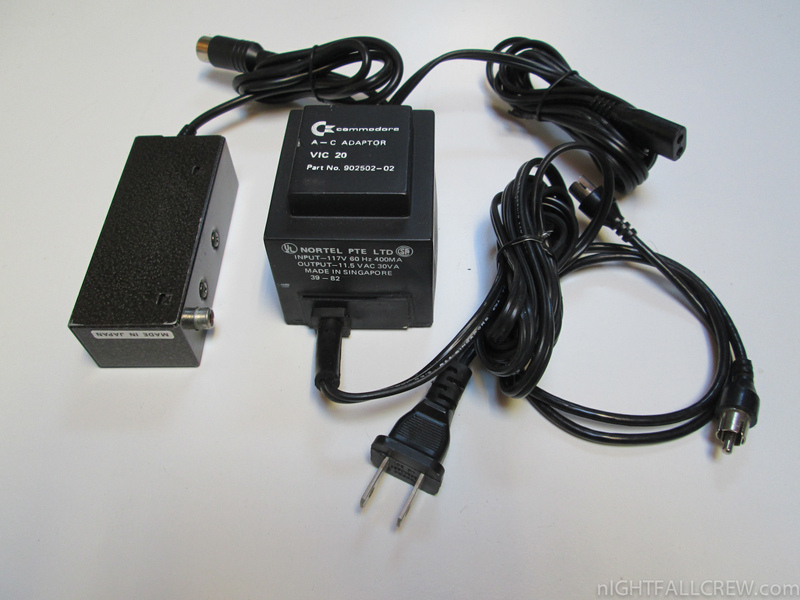 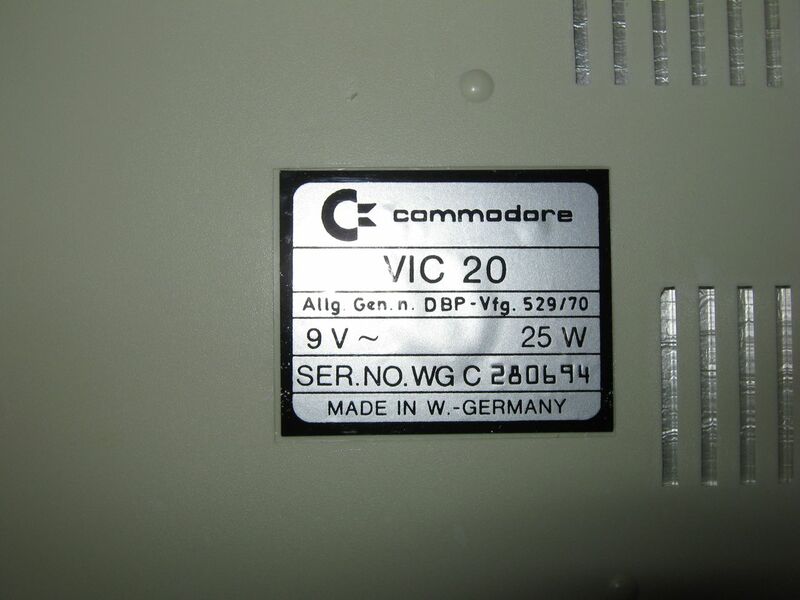 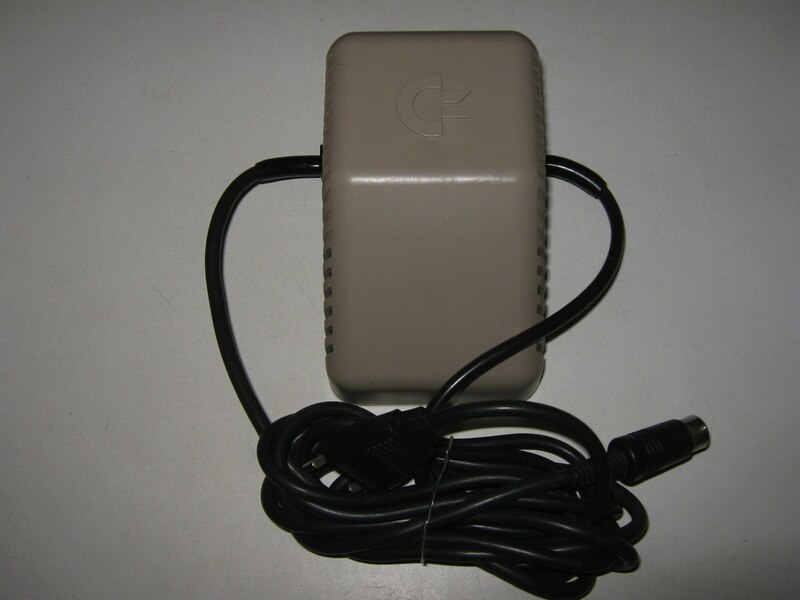 The VIC-20 (Germany: VC-20; Japan: VIC-1001) is an 8-bit home computer which was sold by Commodore Business Machines. 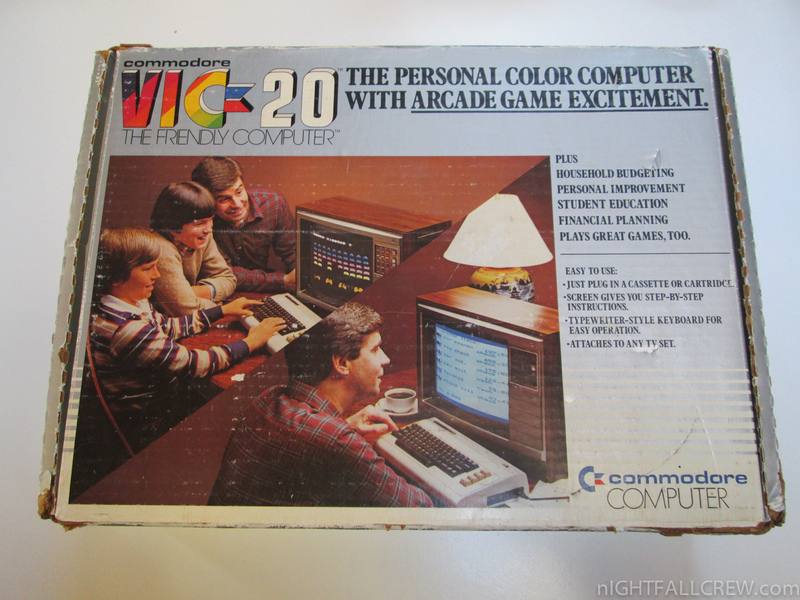 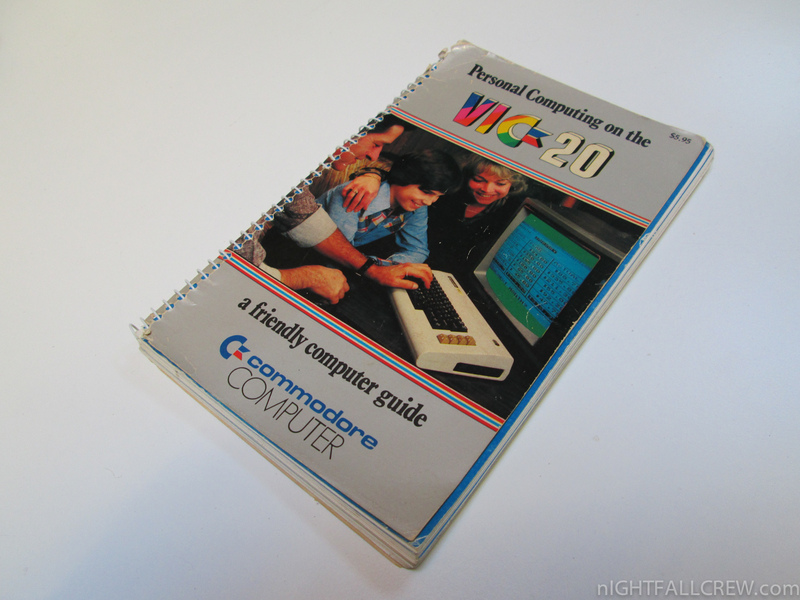 The VIC-20 was announced in 1980, roughly three years after Commodore’s first personal computer, the PET. The VIC-20 was the first microcomputer to sell one million units. 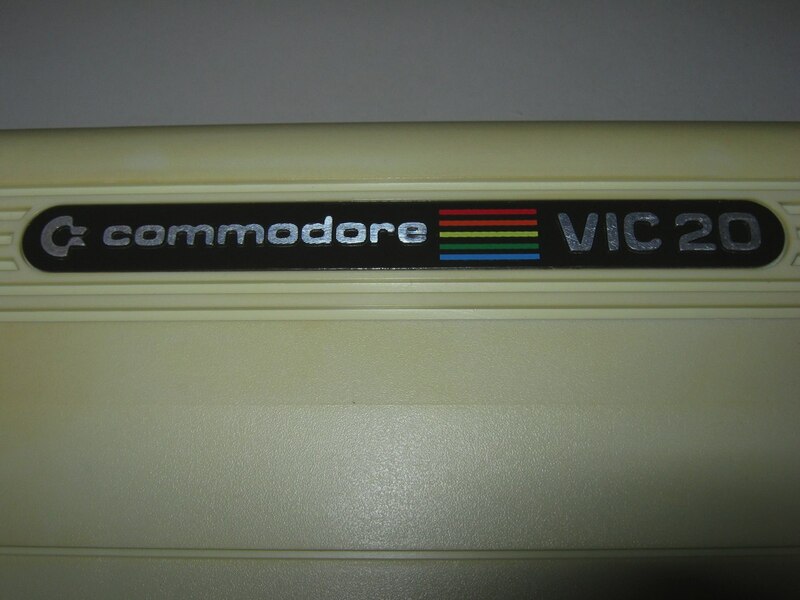 The VIC-20 was intended to be more economical than the PET computer. 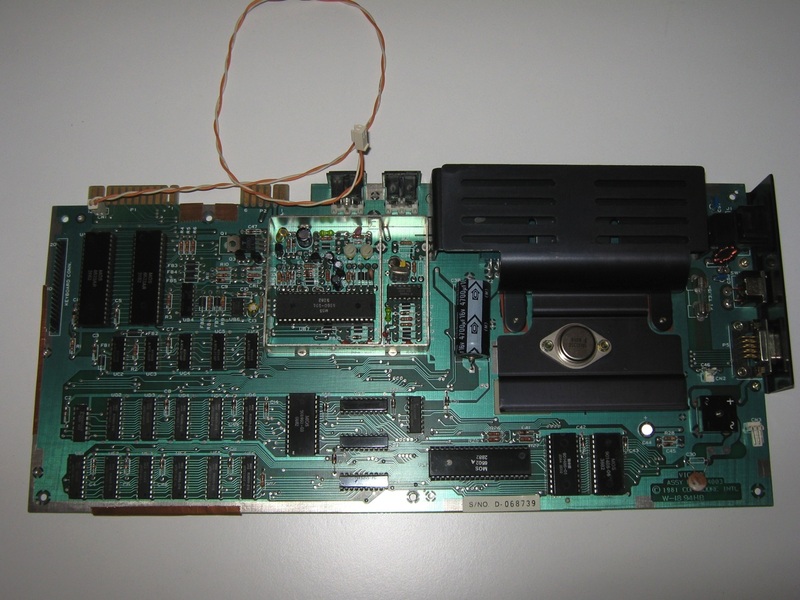 It was equipped with only 5 KB of RAM (of this, only 3583 Bytes was available to the user) and used the same MOS 6502 CPU as the PET. The VIC-20′s video chip, the MOS Technology VIC, was a general-purpose color video chip designed by Al Charpentier in 1977 and intended for use in inexpensive display terminals and game consoles, but Commodore couldn’t find a market for the chip. 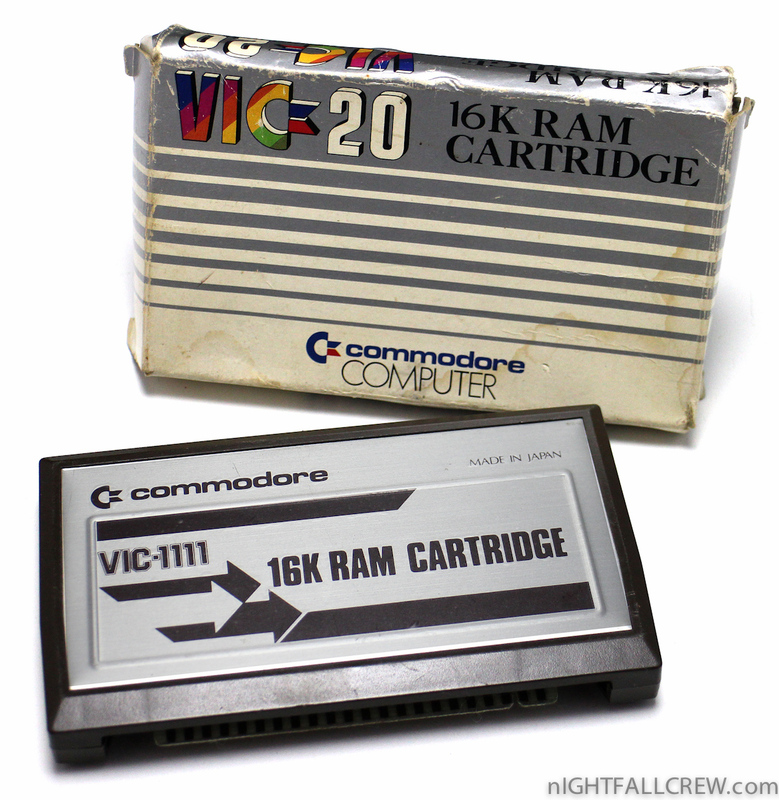 As the Apple II gained momentum with the advent of VisiCalc in 1979, Jack Tramiel wanted a product that would compete in the same segment, to be presented at the January 1980 CES. 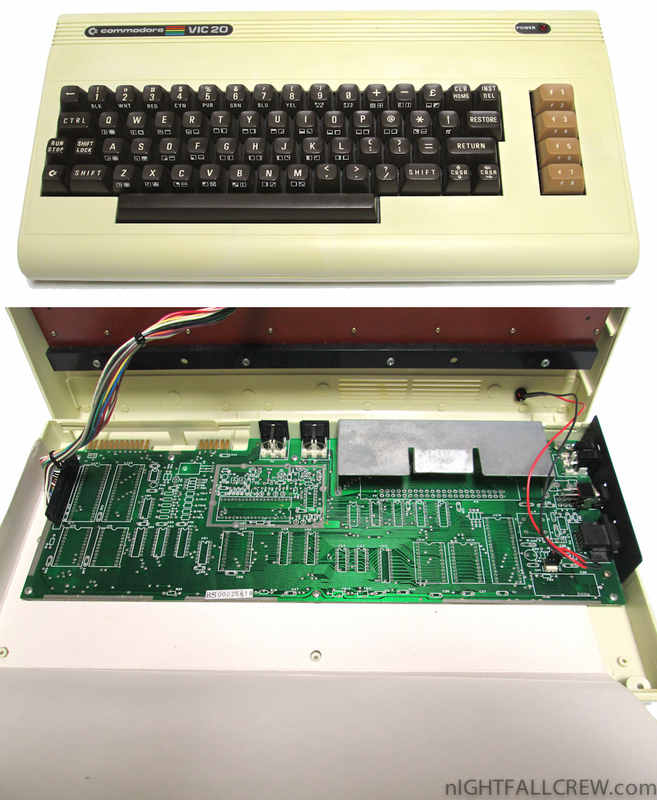 For this reason Chuck Peddle and Bill Seiler started to design a computer named TOI (The Other Intellect). 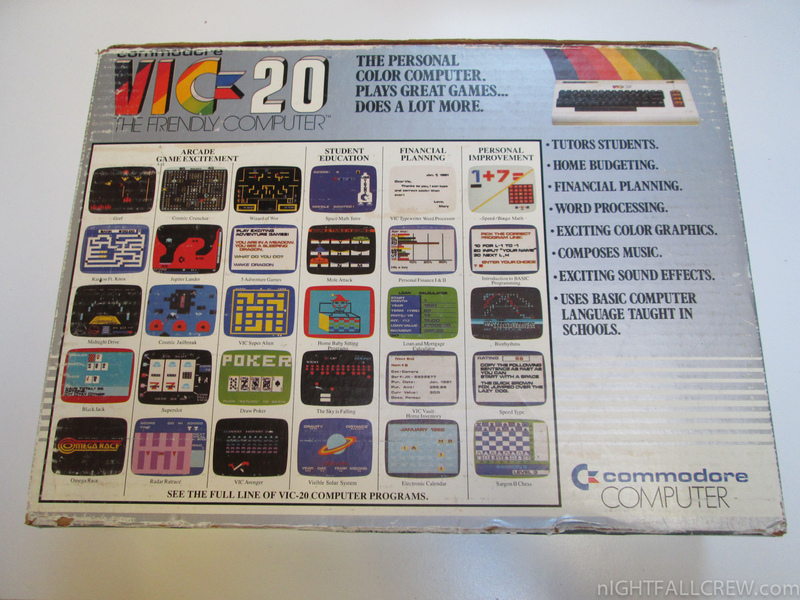 The VIC-20 was intended to be more economical than the PET computer. 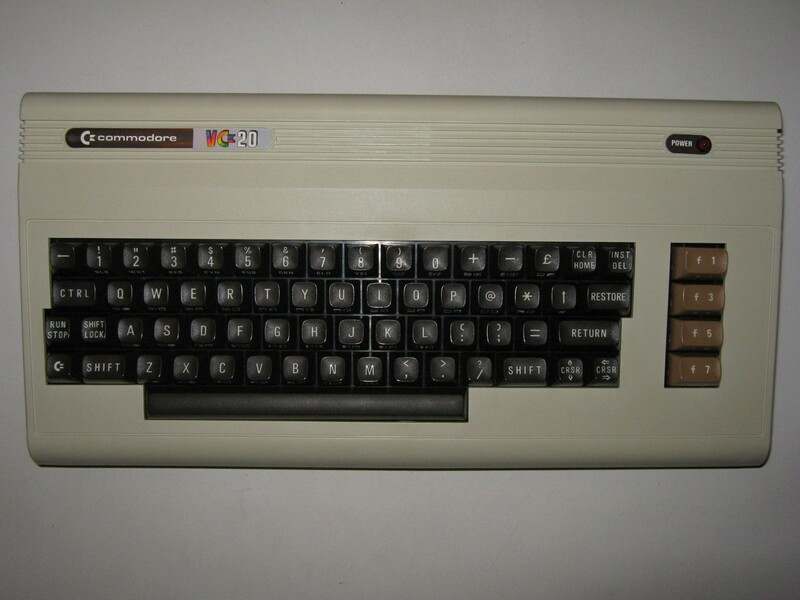 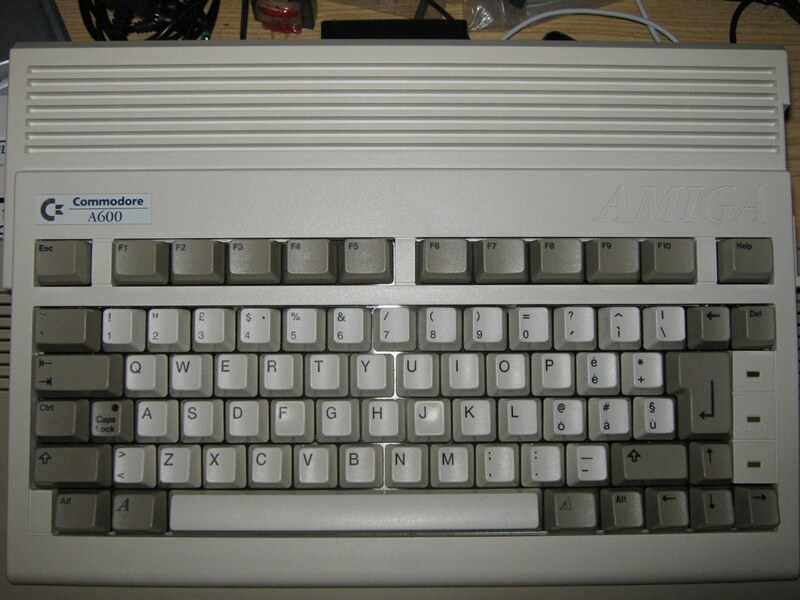 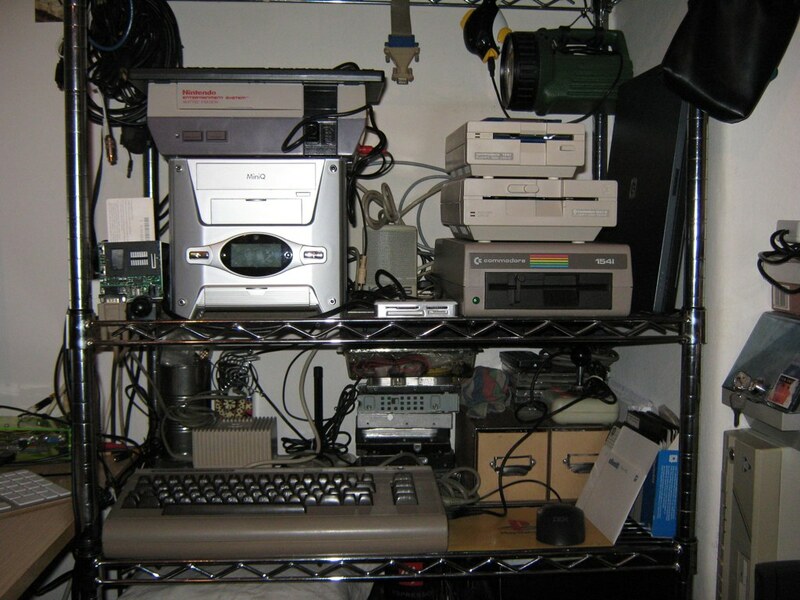 It was equipped with only 5 KB of RAM and used the same MOS 6502 CPU as the PET. 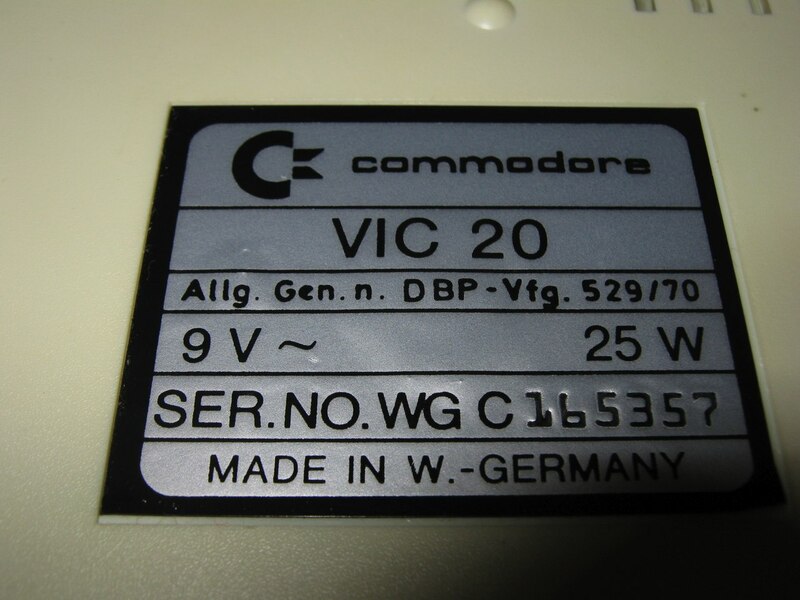 The VIC-20′s video chip, the MOS Technology VIC, was a general-purpose color video chip designed by Al Charpentier in 1977 and intended for use in inexpensive display terminals and game consoles, but Commodore couldn’t find a market for the chip.